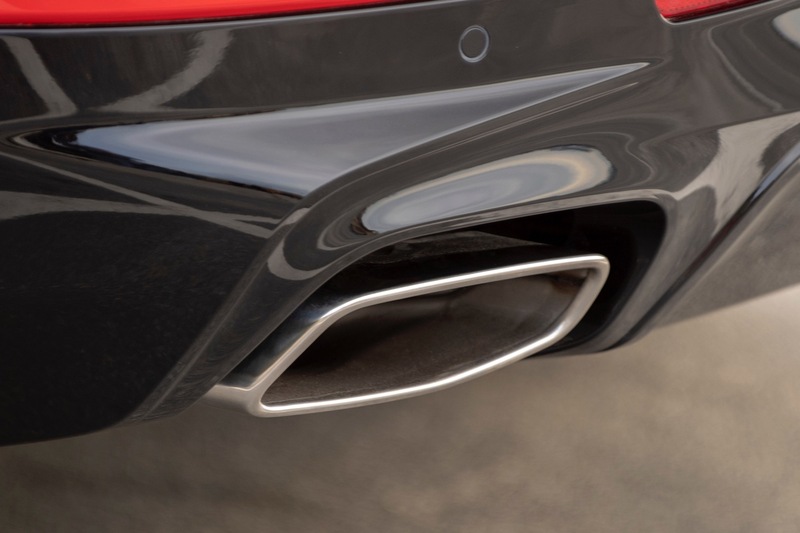 Each automotive brand typically has certain characteristics that sets it apart and distinguishes it from others. 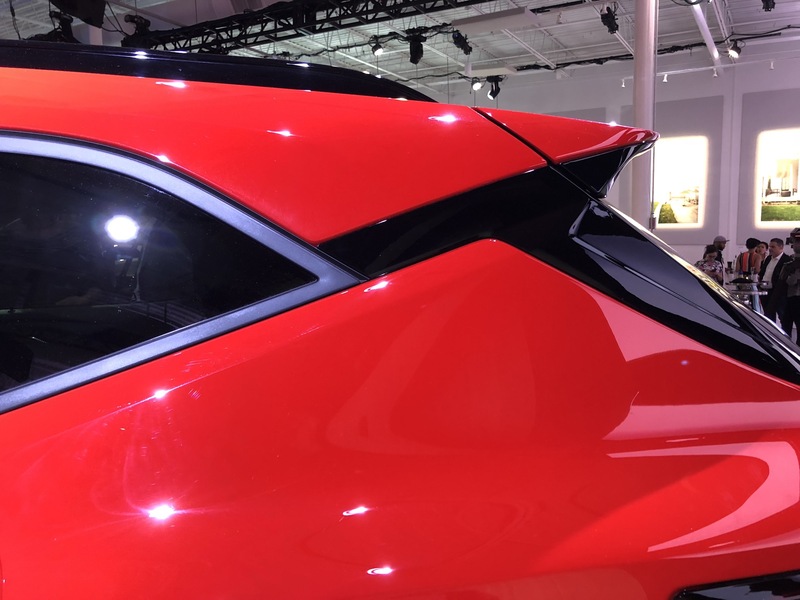 Some even go as far as to keep a level of design uniformity across their vehicle lineup, all in the name of consistency that identifies the entire vehicle lineup as being of a particular automaker/brand. 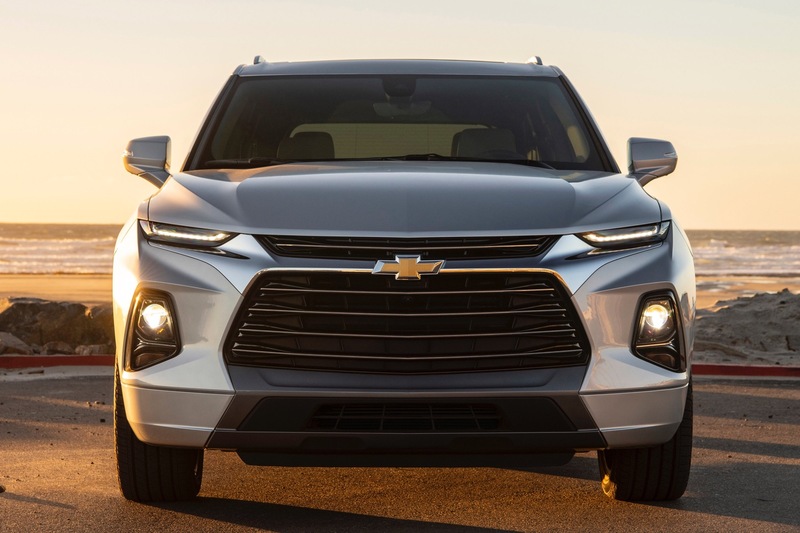 When it comes to Chevrolet models, we can already see that commonality in the dual-port grille and the common taillamp design and lighting signature. 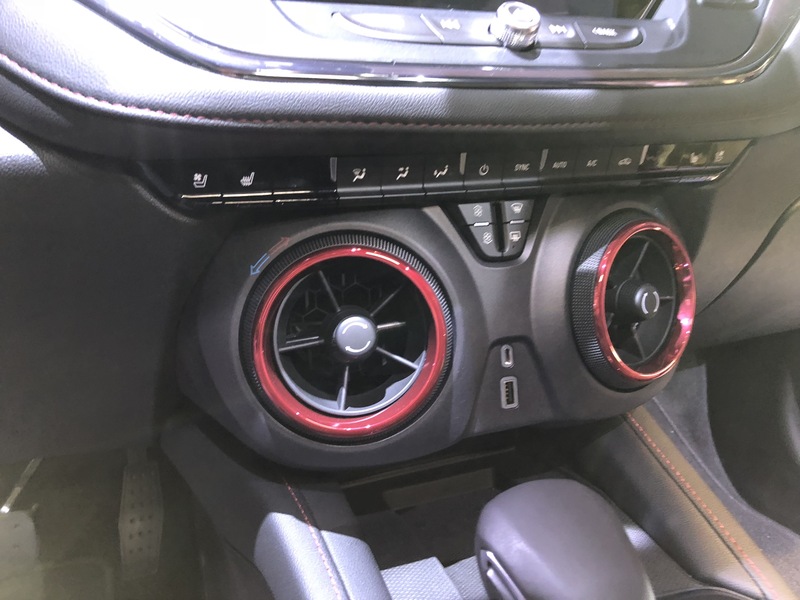 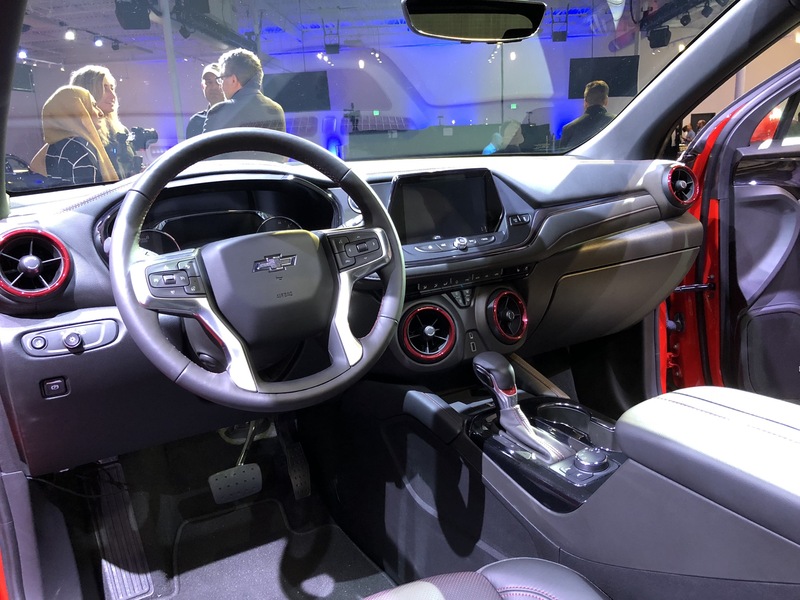 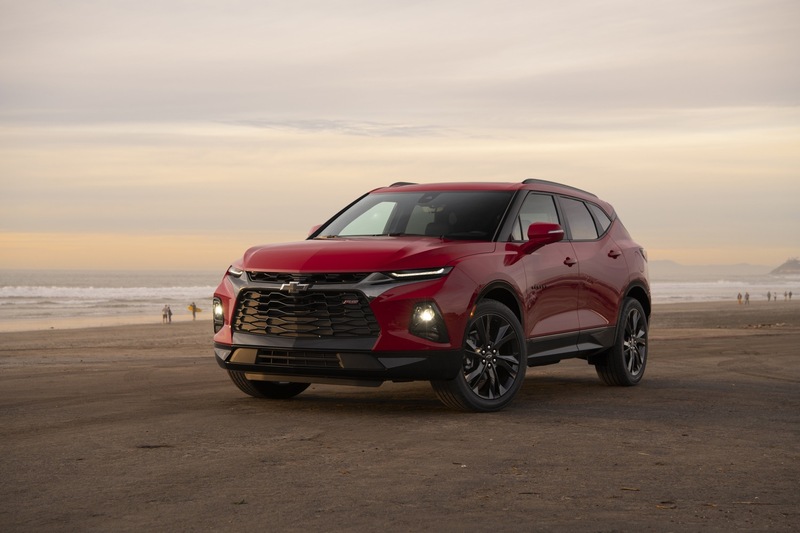 But the Bow Tie brand, having recognized just how good of a thing it has going with the all-new 2019 Blazer, says that the design will inspire future Chevy crossovers. 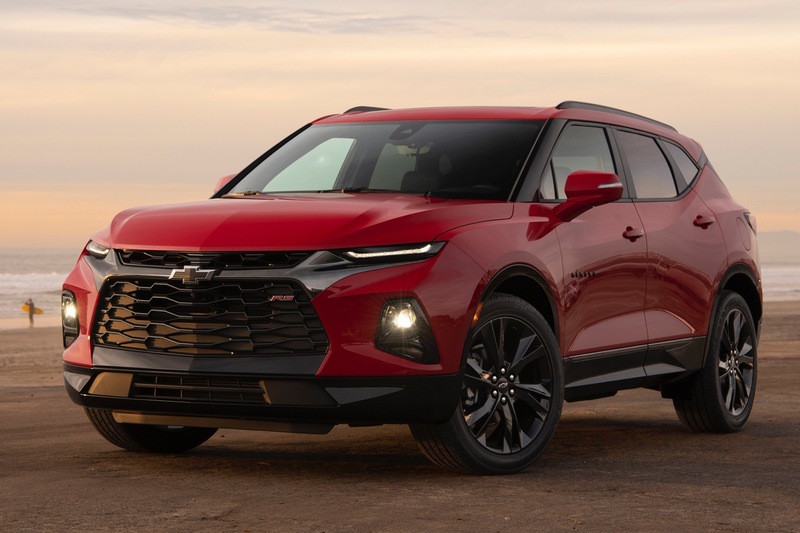 In a recent press release about the FNR-CarryAll concept – the “3-row Blazer“, as some have deemed it – Chevrolet provided us with some insight in the future. 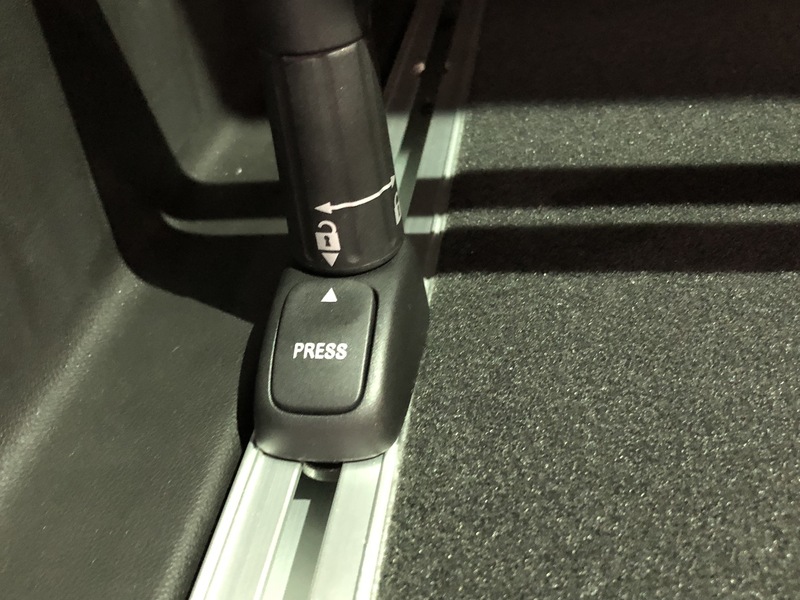 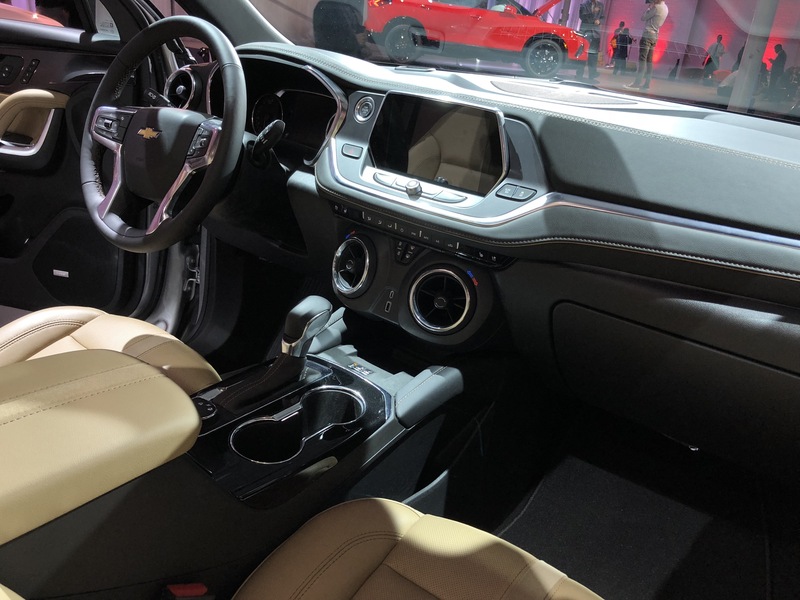 “[The concept] fully embodies the future development trend of Chevrolet SUVs, including their powerful capability, all-around comfort and advanced connectivity technology”, reads the presser. 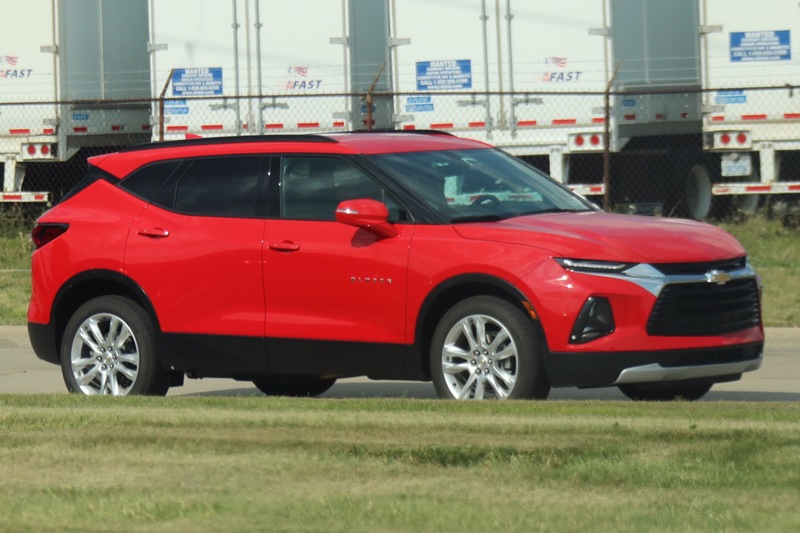 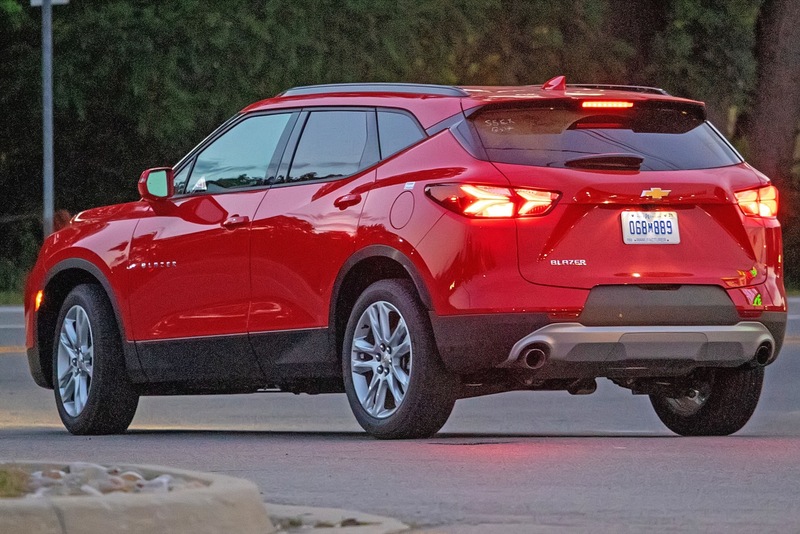 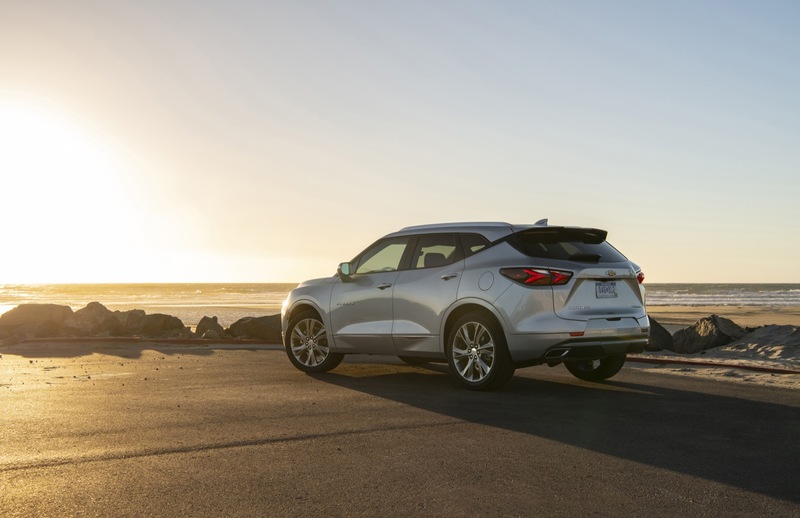 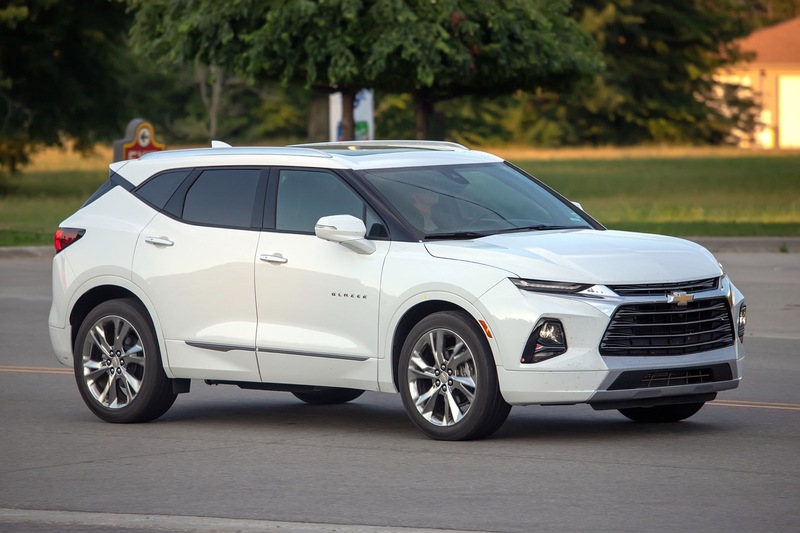 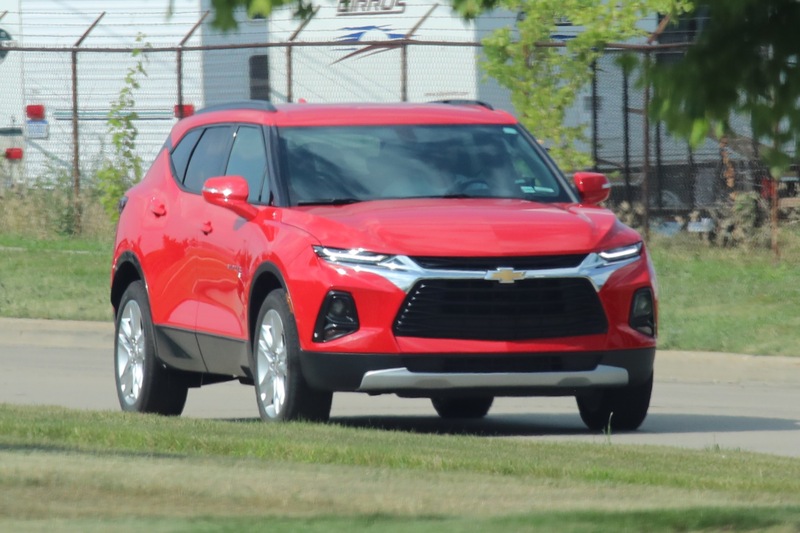 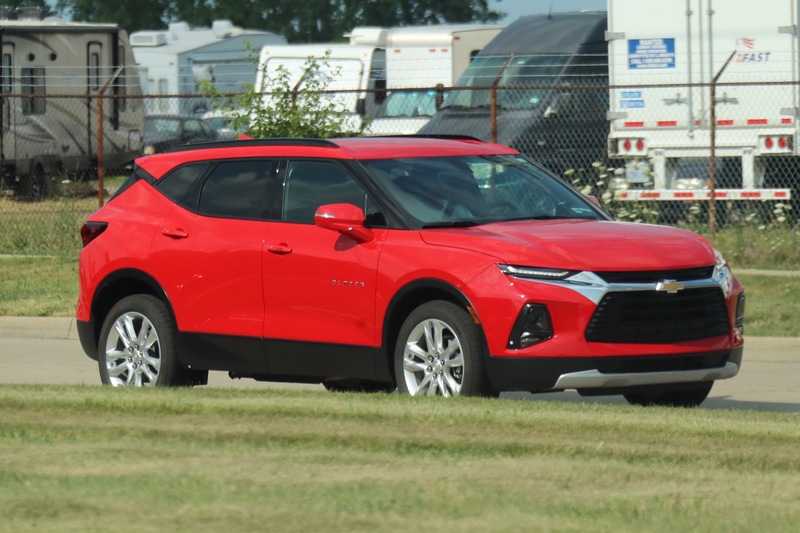 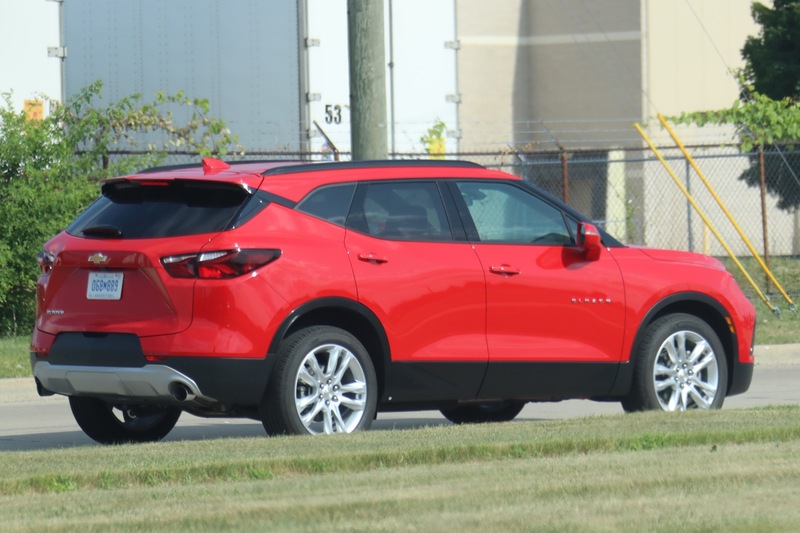 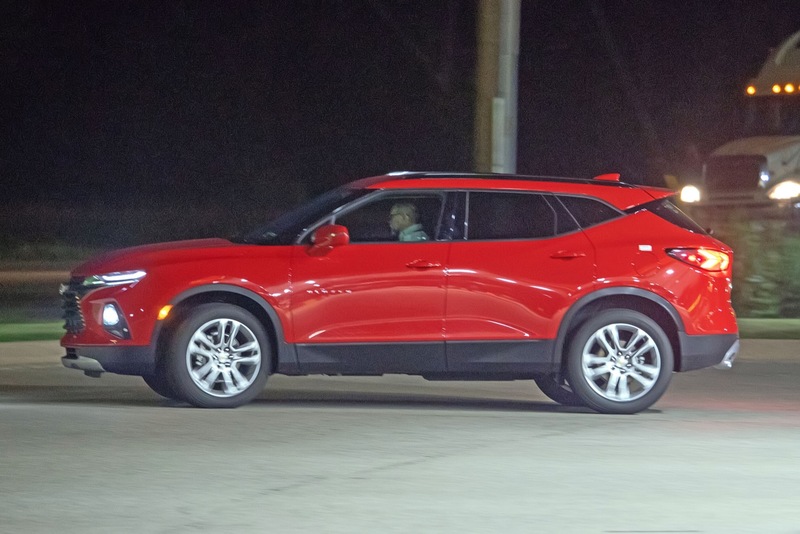 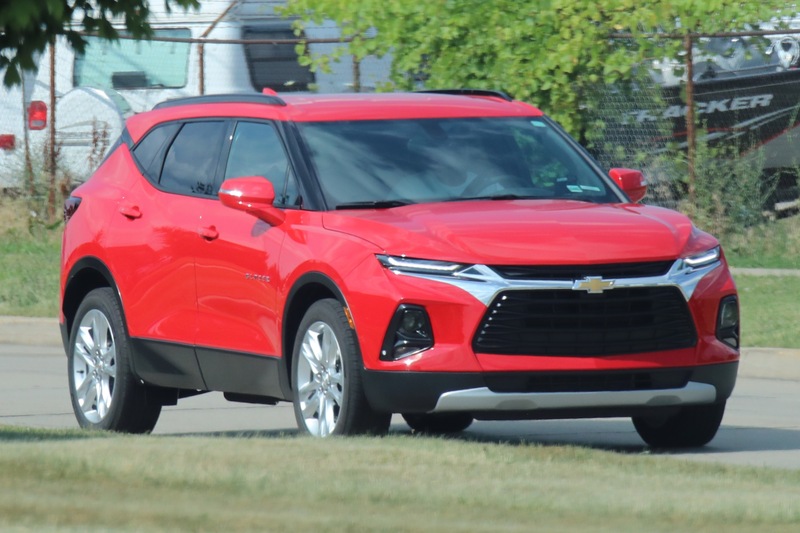 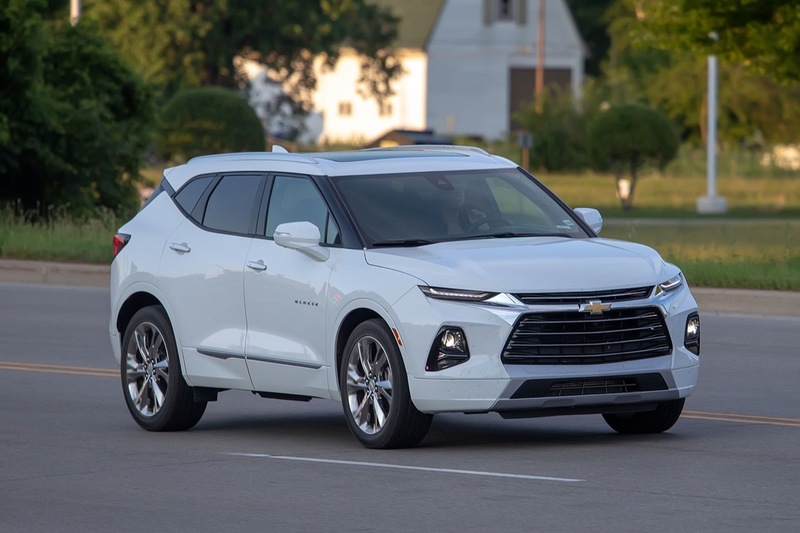 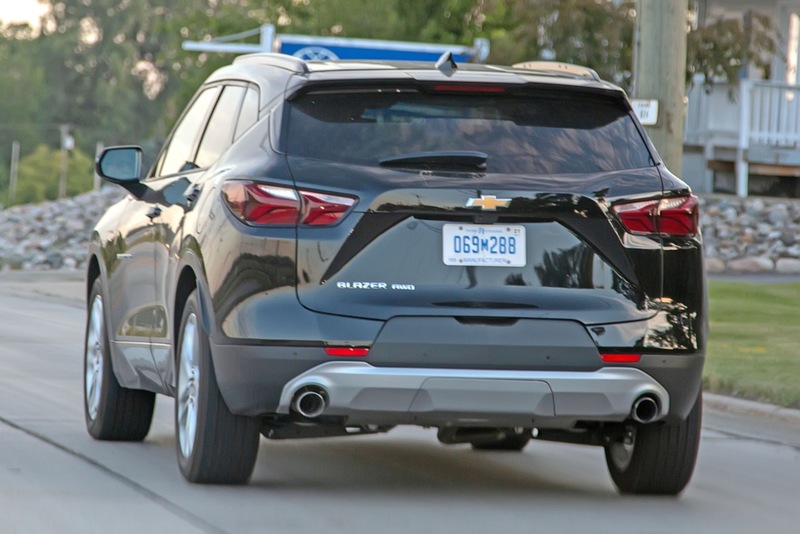 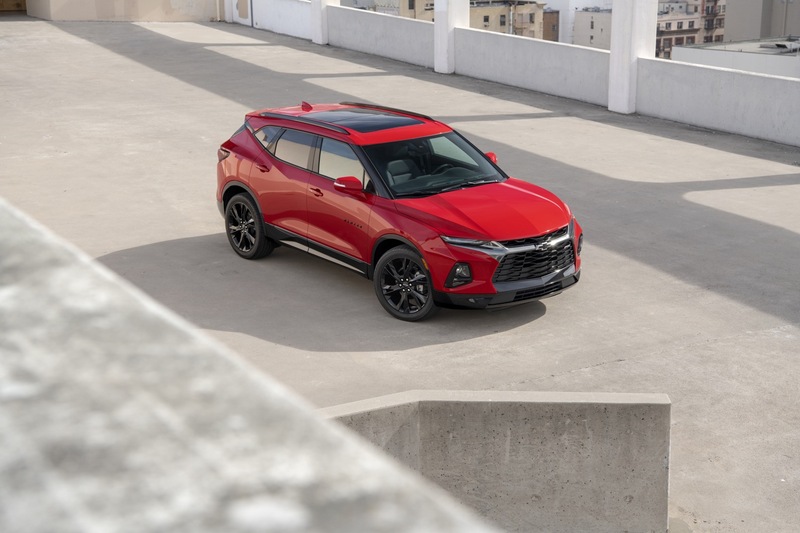 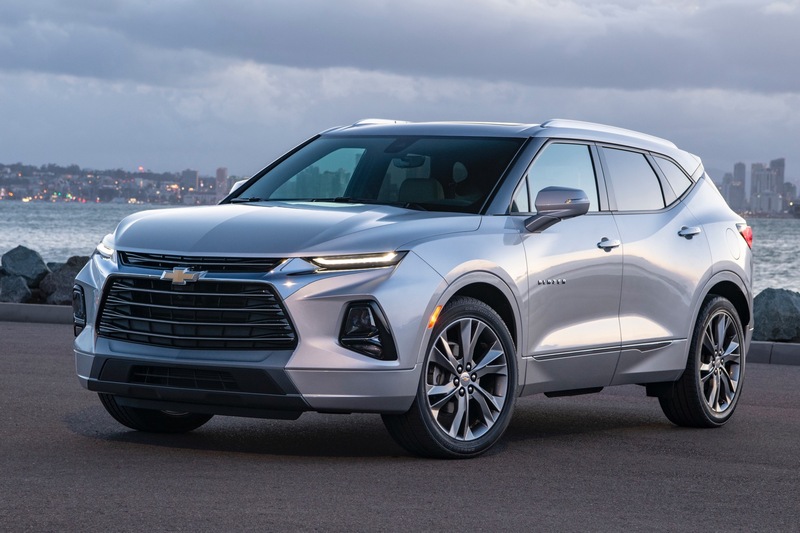 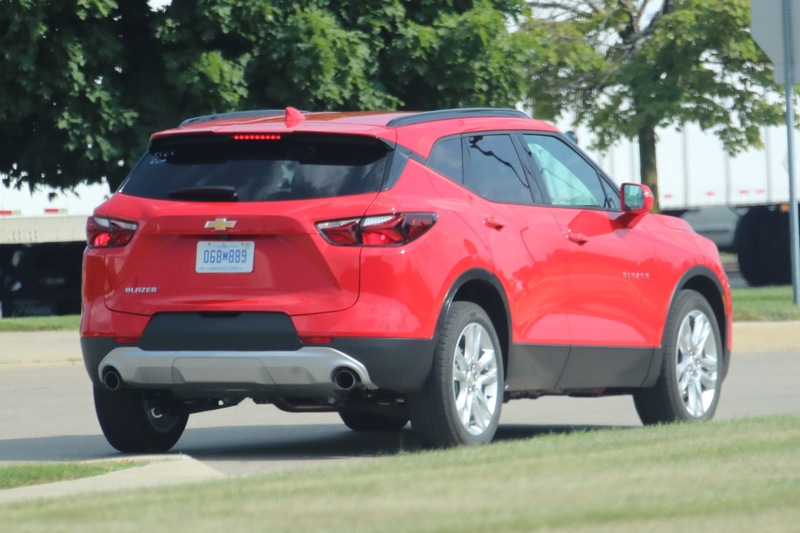 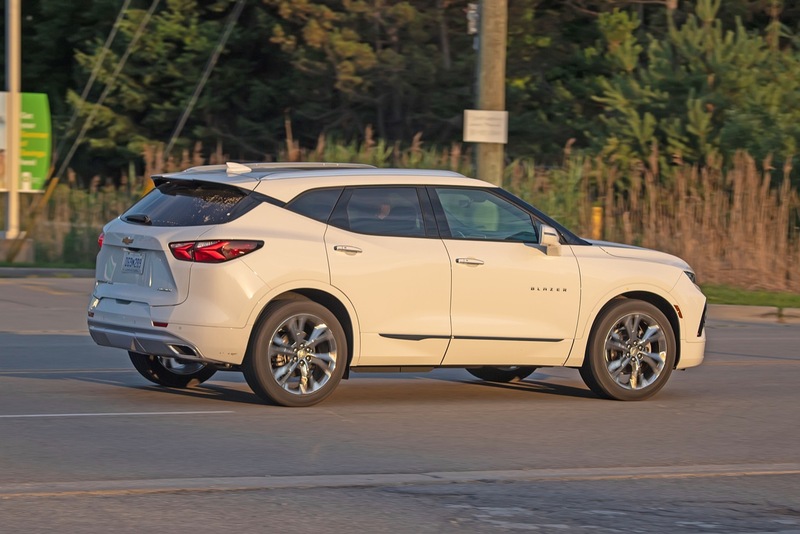 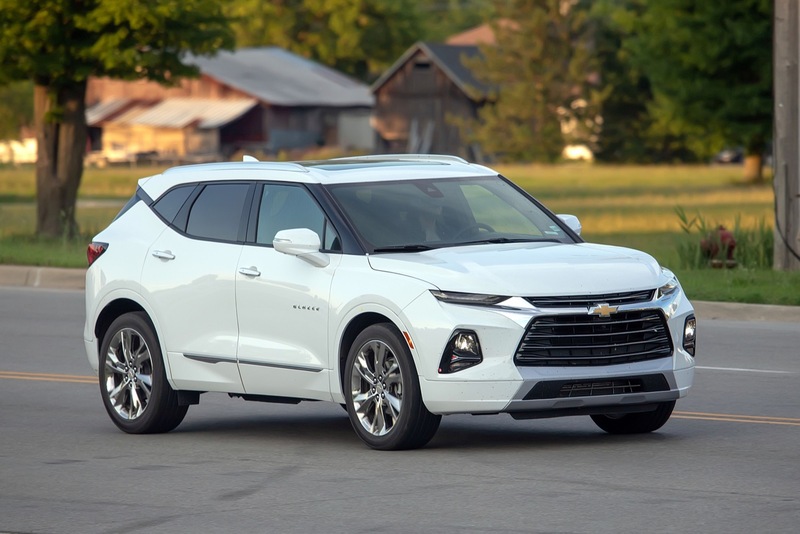 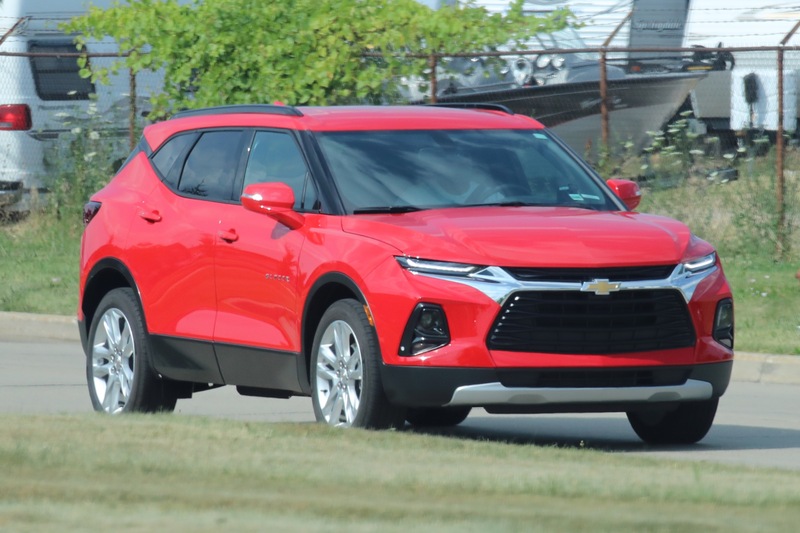 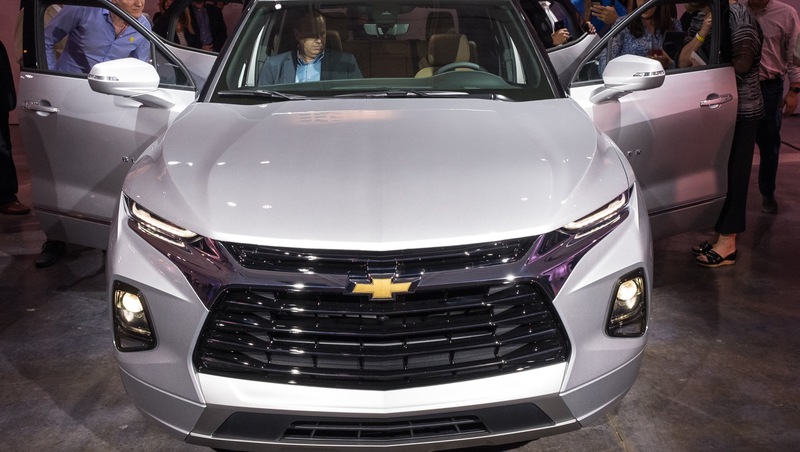 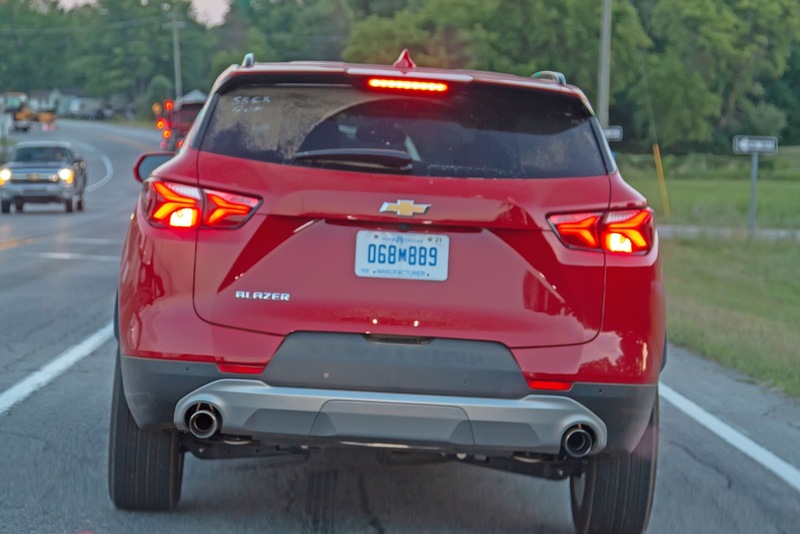 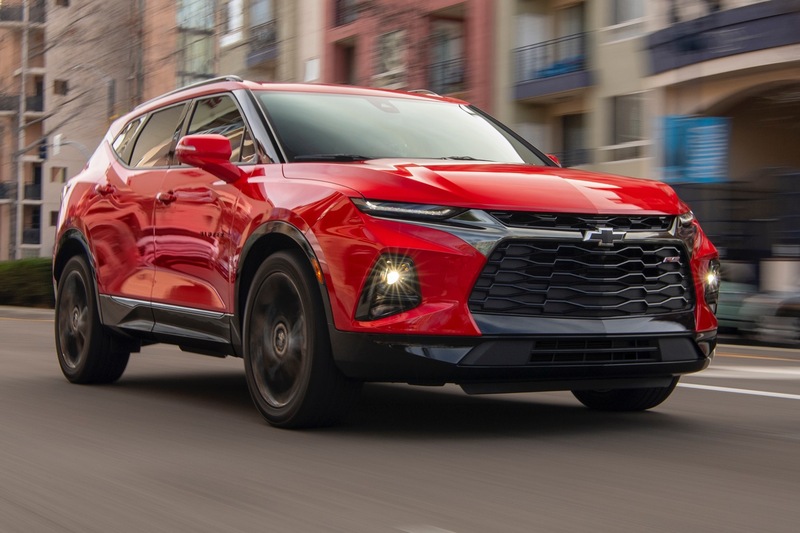 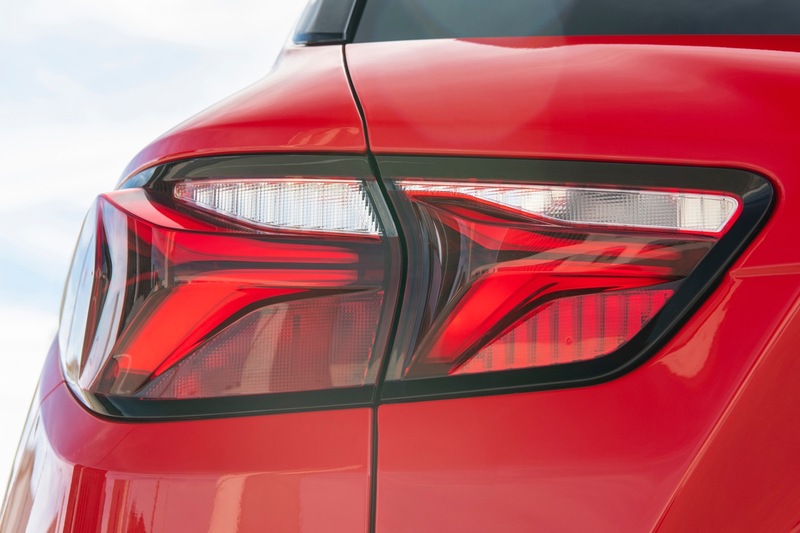 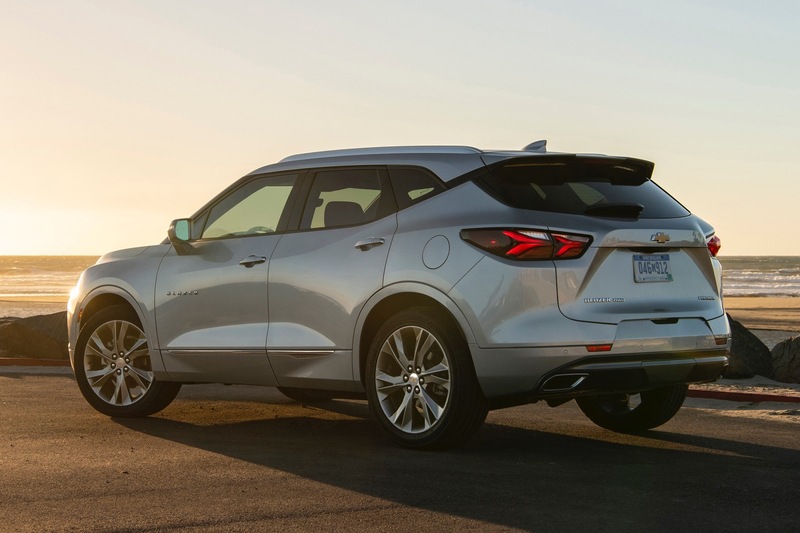 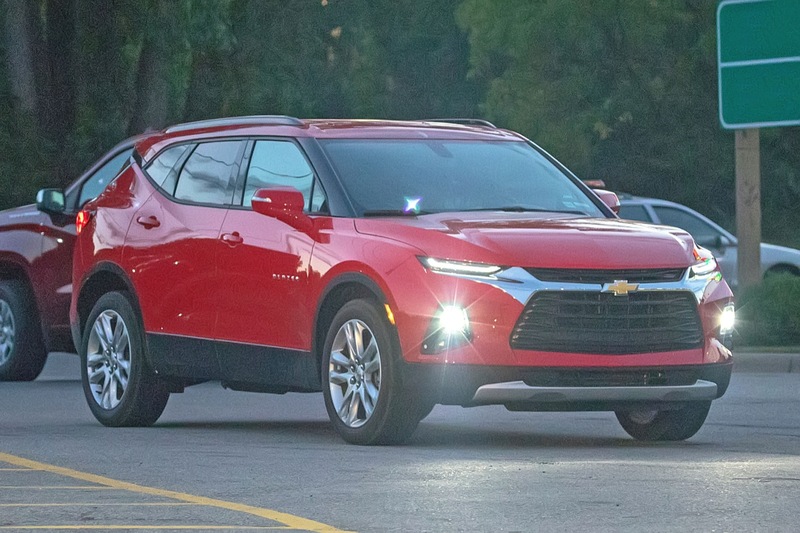 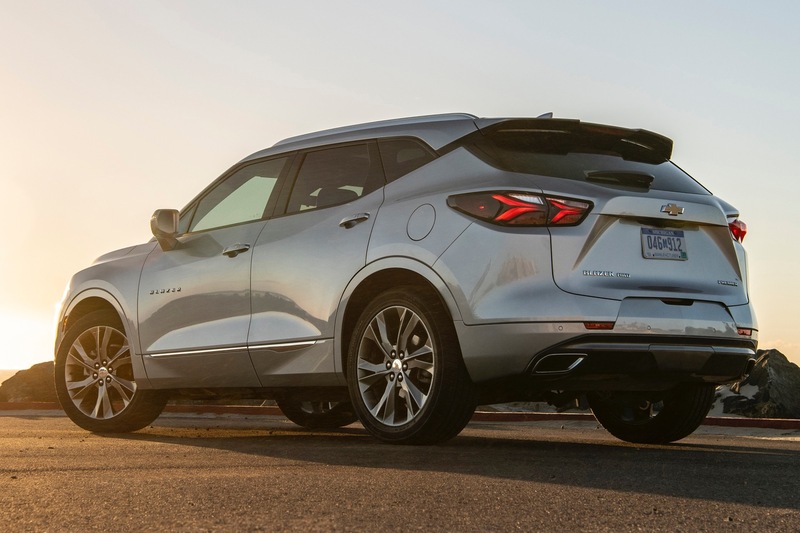 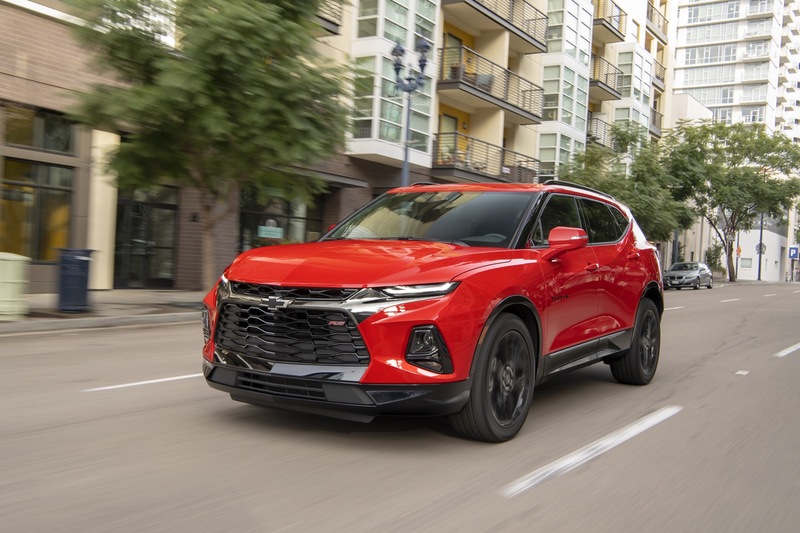 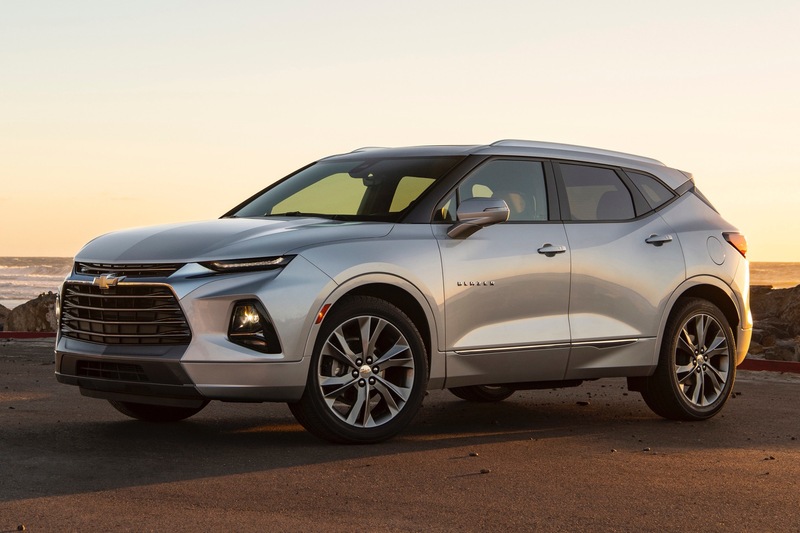 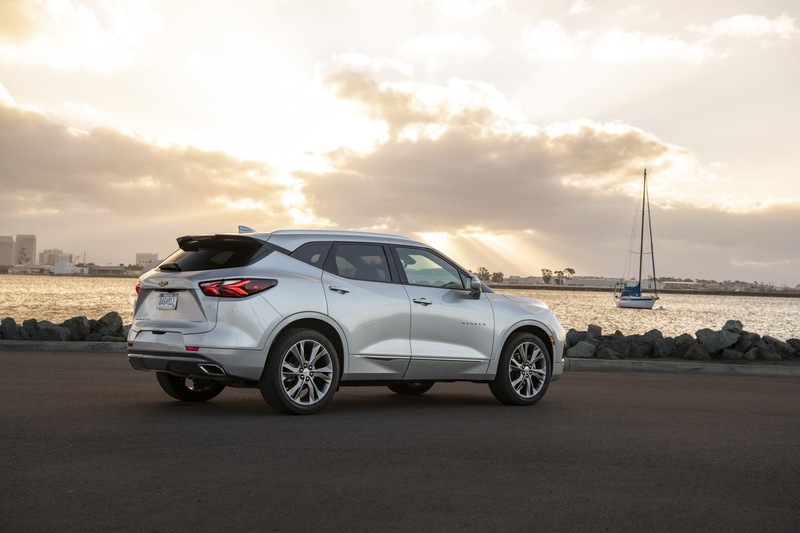 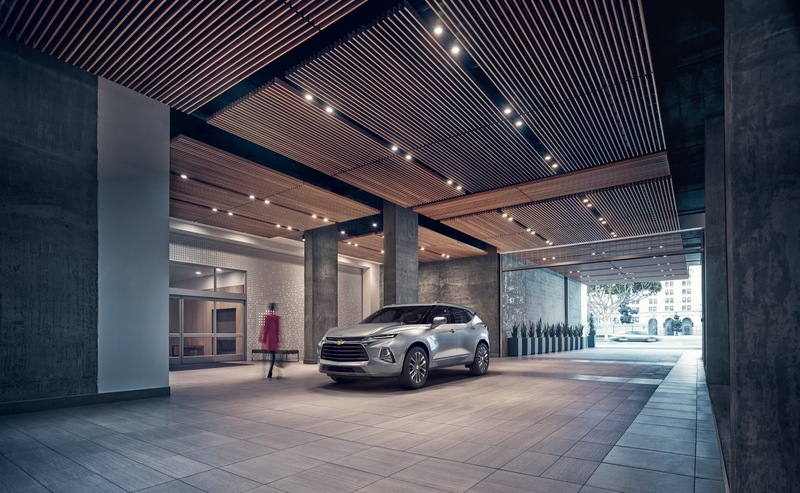 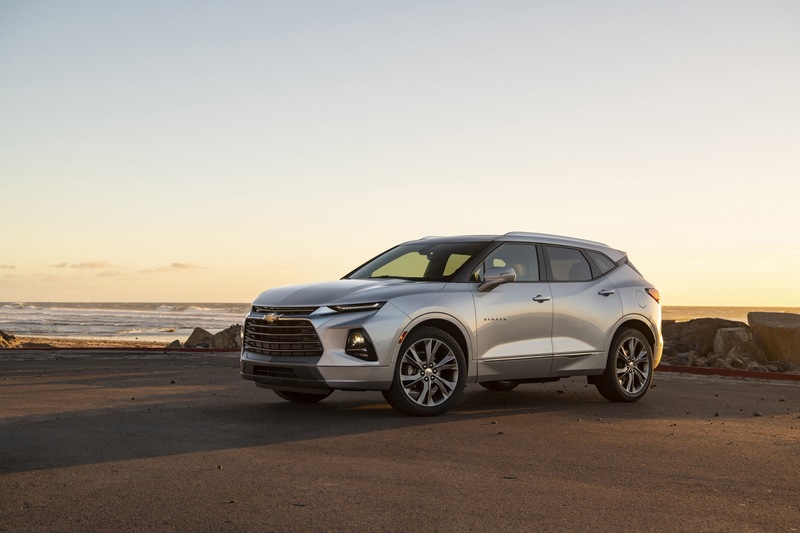 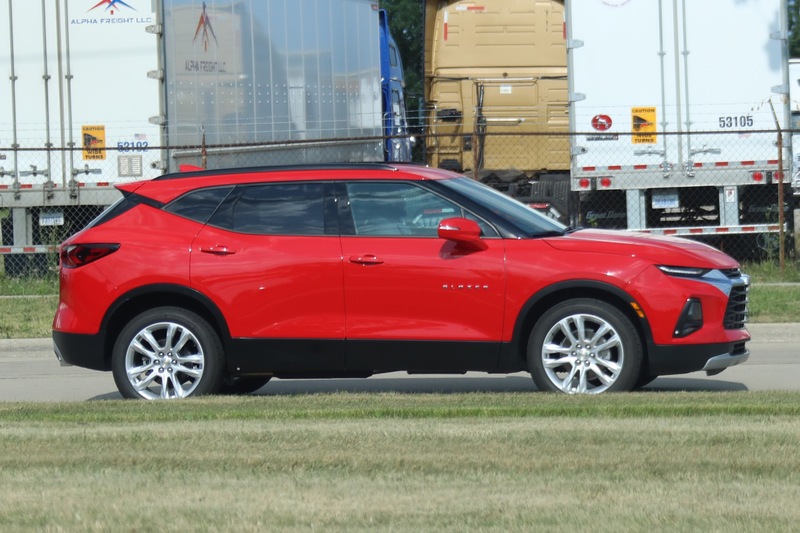 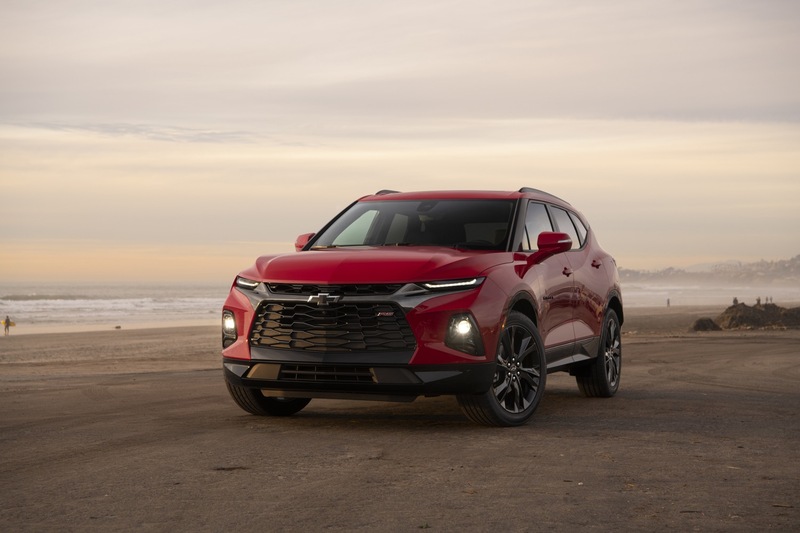 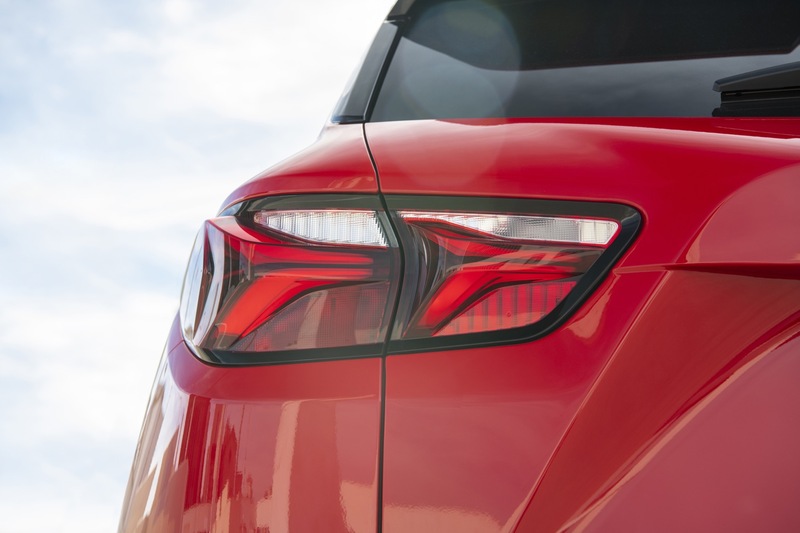 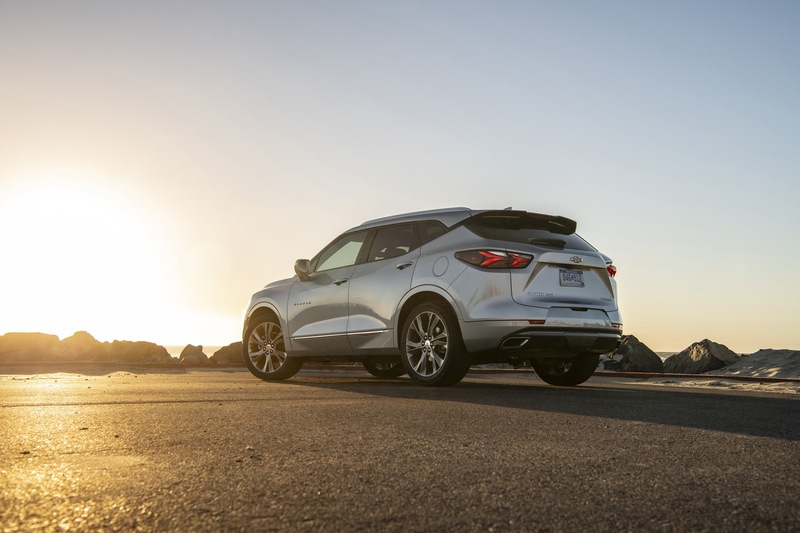 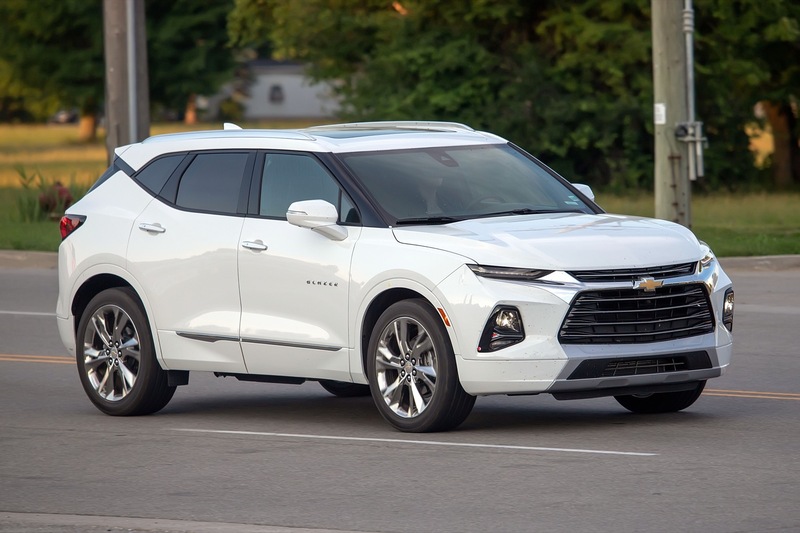 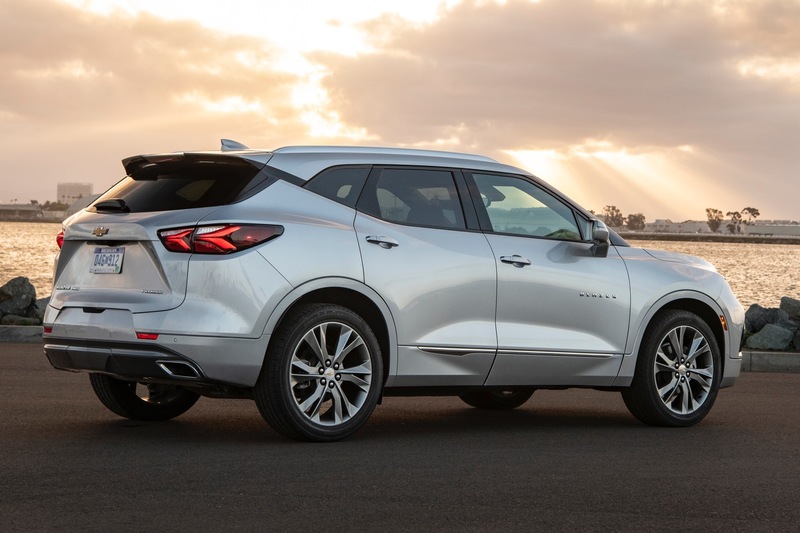 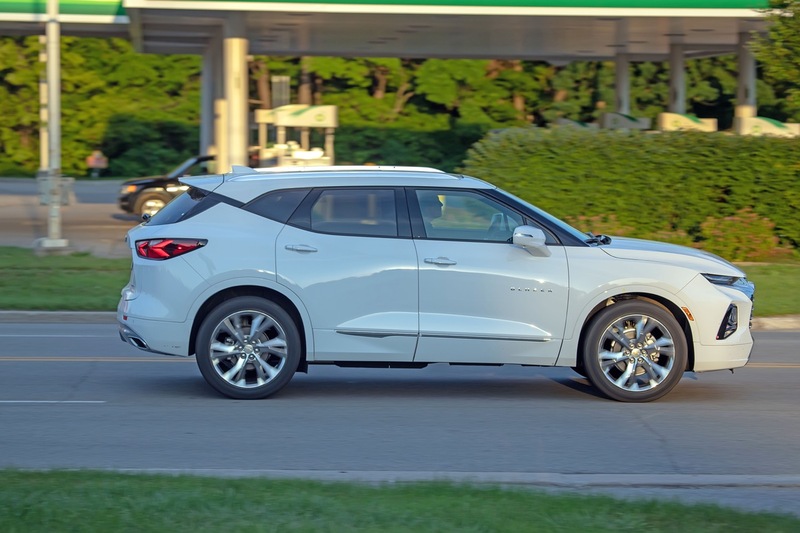 In other words, future Chevrolet SUVs will draw inspiration from the design of the 2019 Chevrolet Blazer, which features thin daytime running lamps, followed by a set of primary headlamps, as well as a bold and aggressive grille – all of which emit a very athletic, sporty feel inspired by the Camaro. 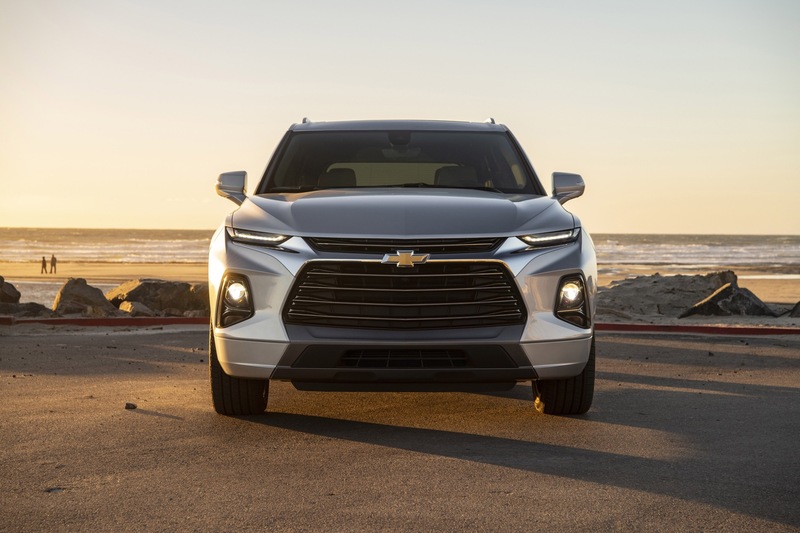 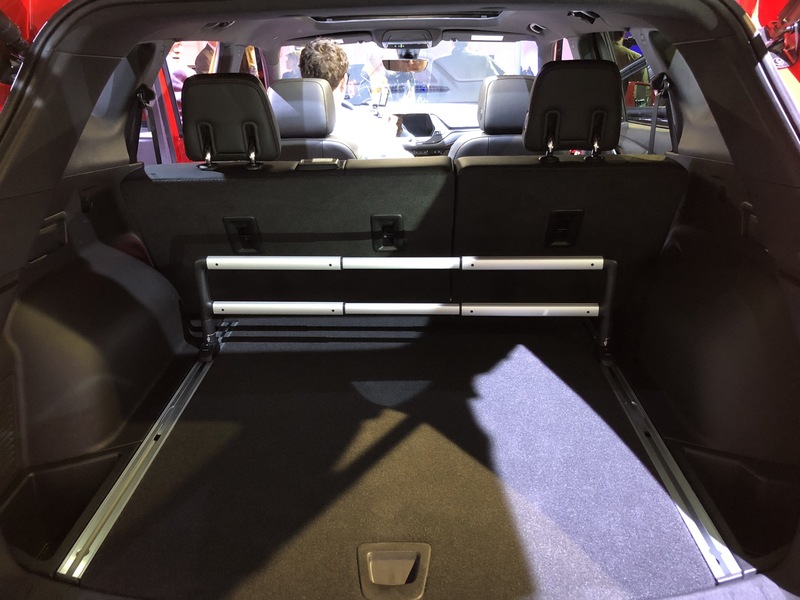 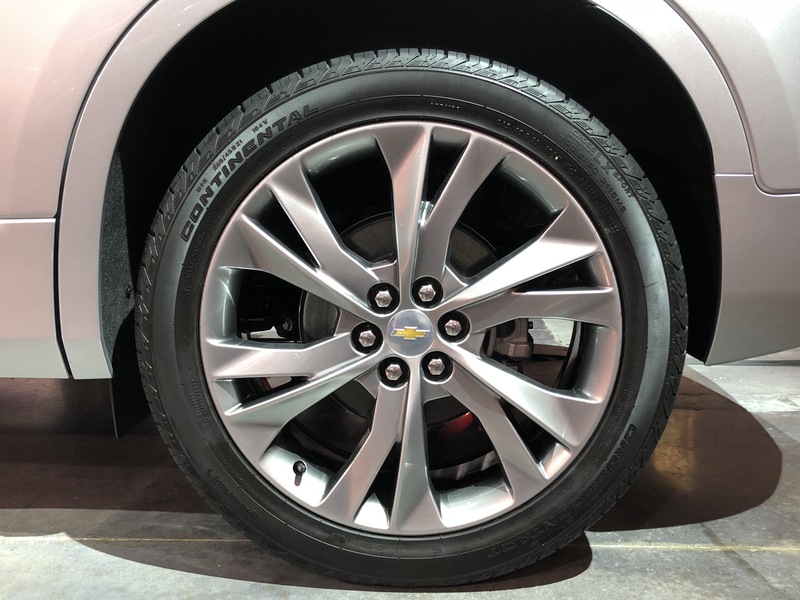 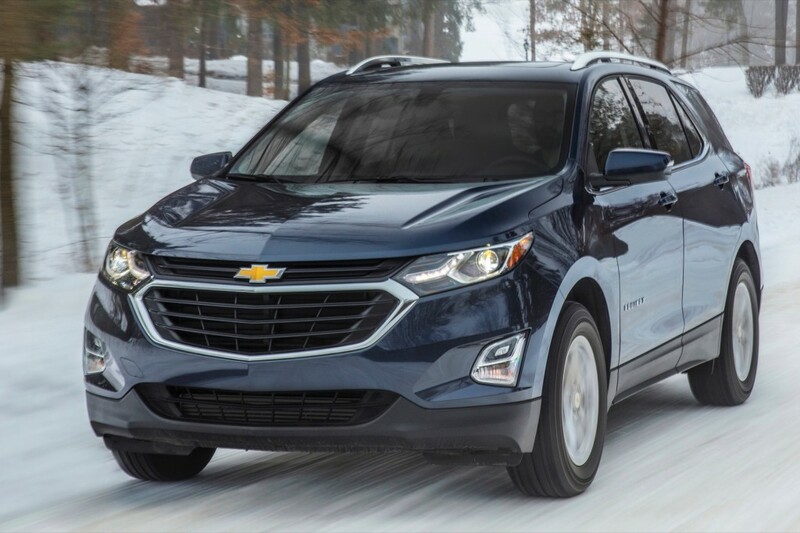 Going forward, we should expect these features to make their way to Chevy’s other crossovers, such as the future Trax, future Traverse, and future Equinox. 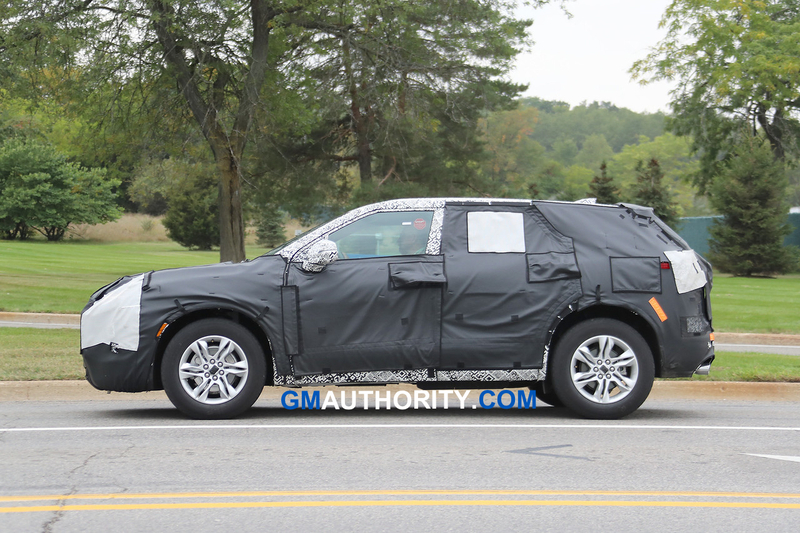 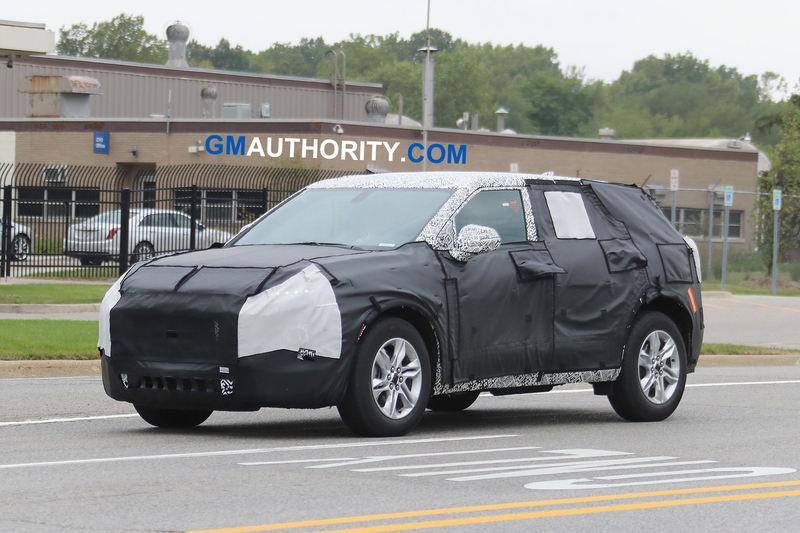 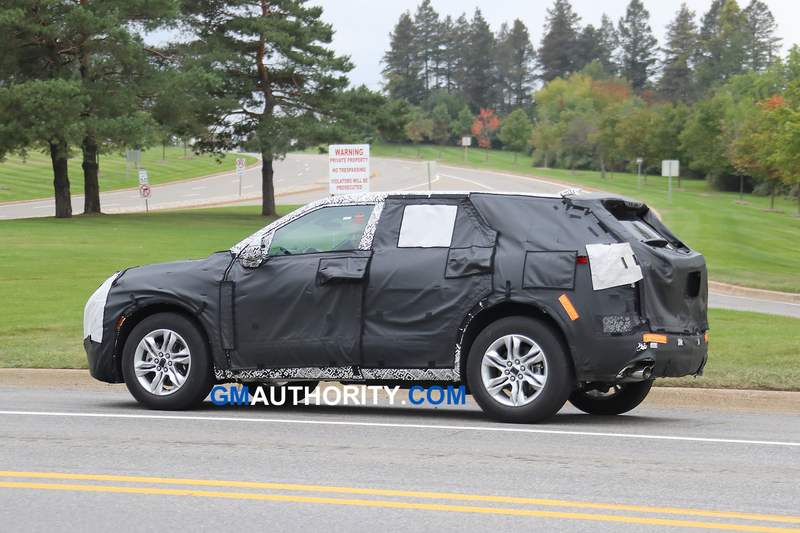 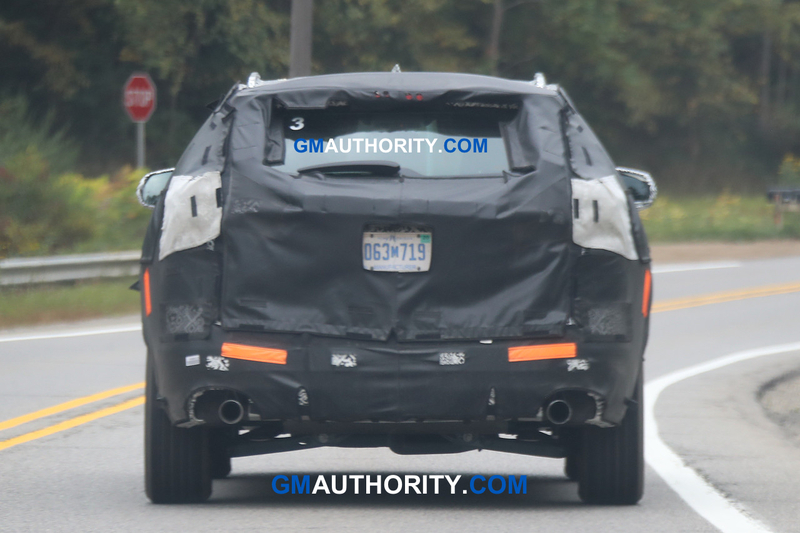 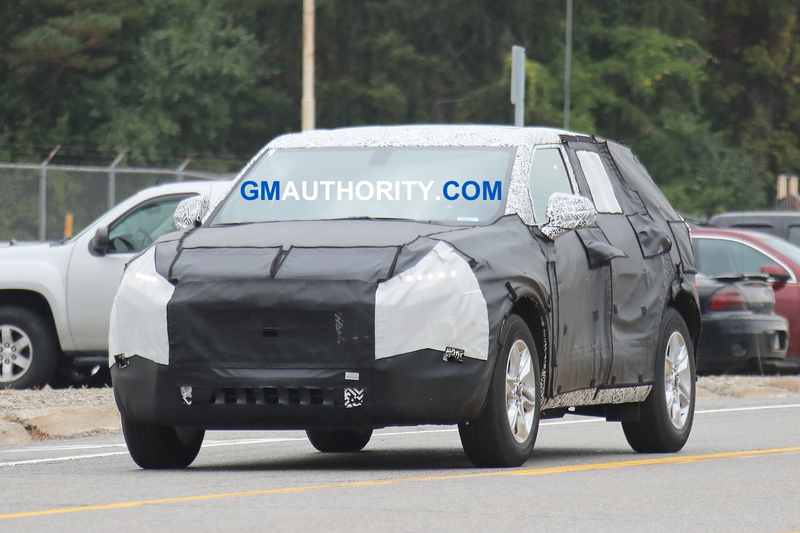 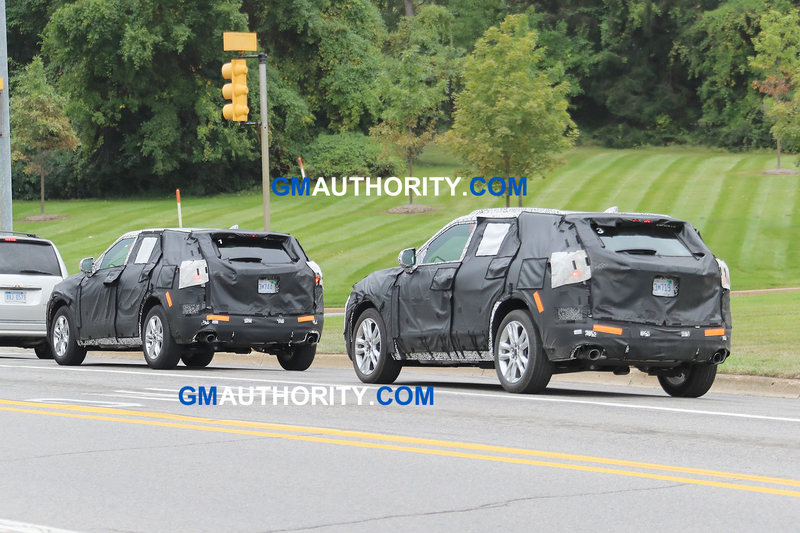 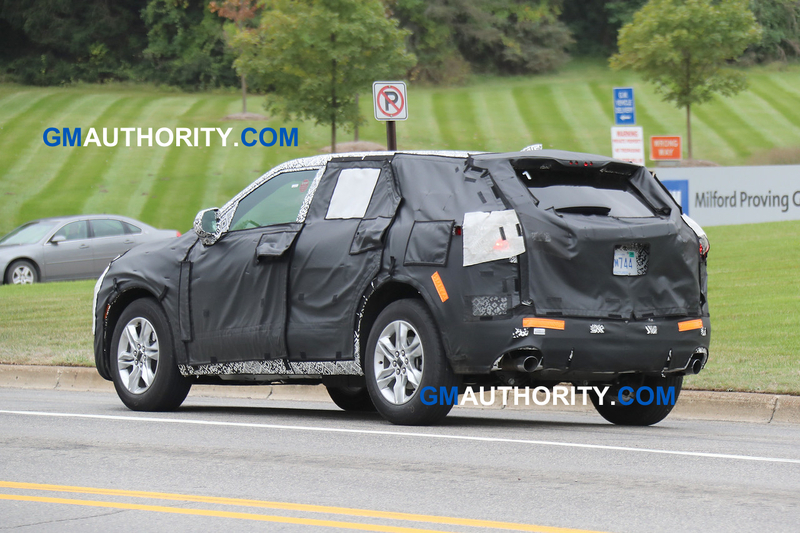 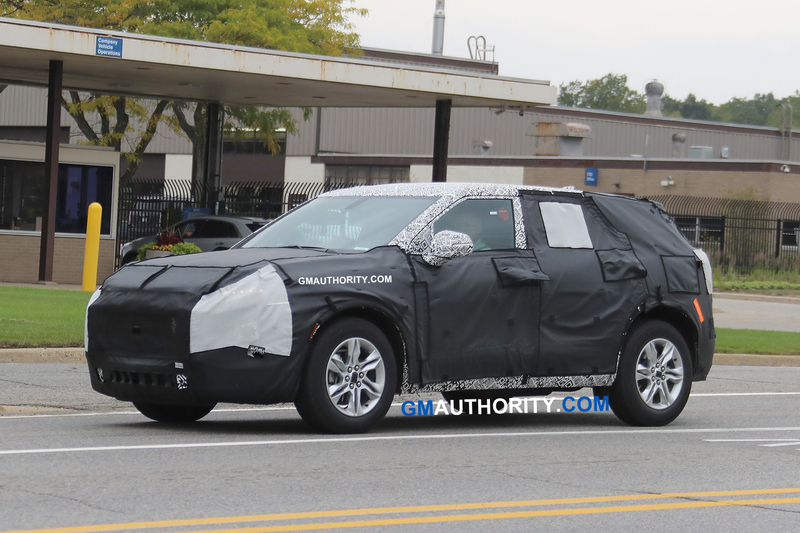 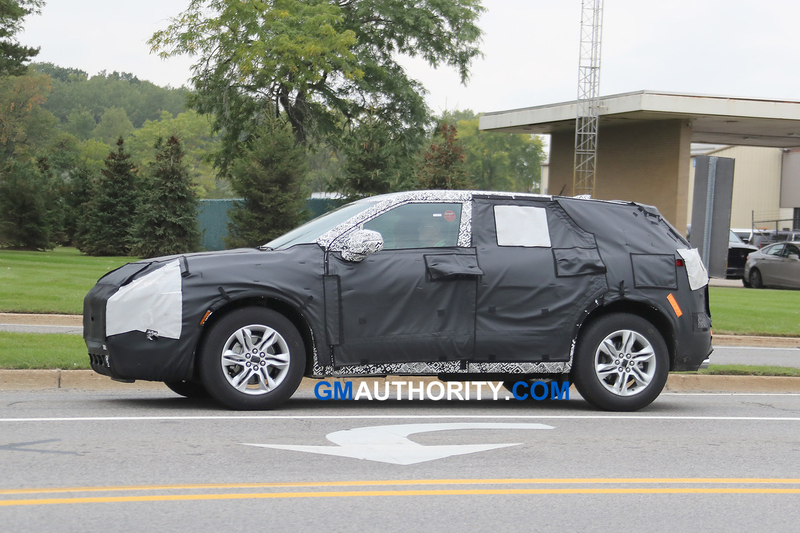 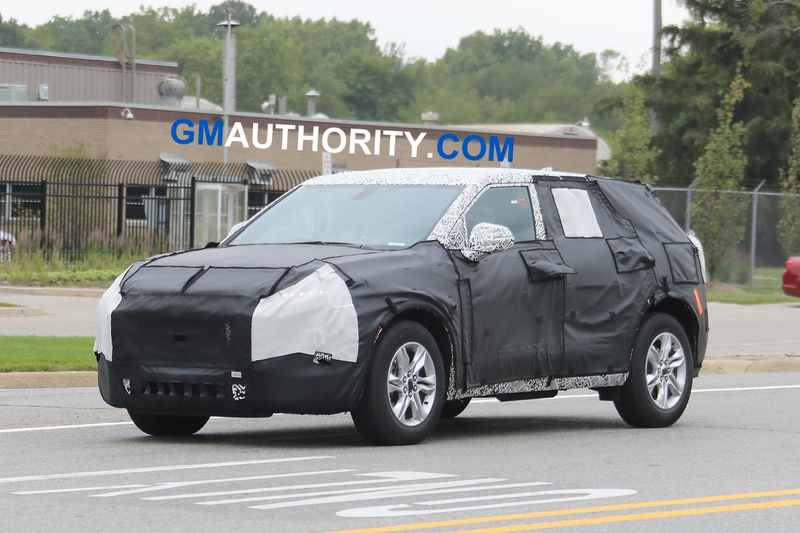 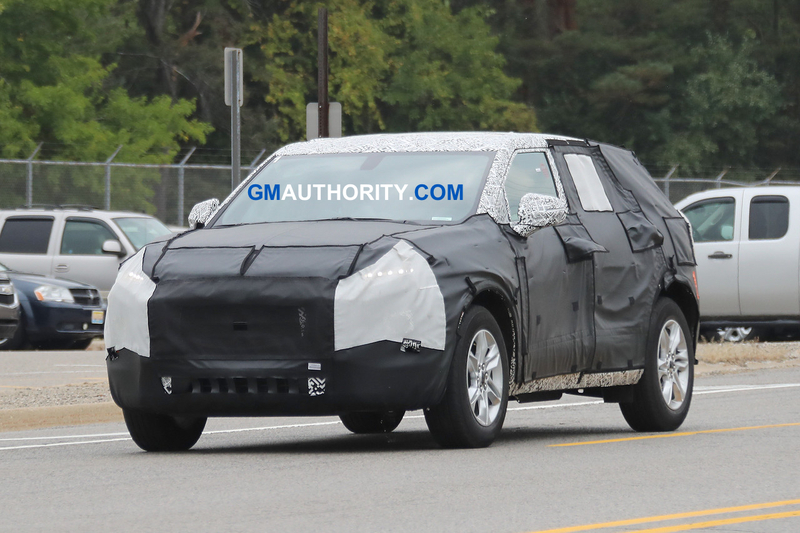 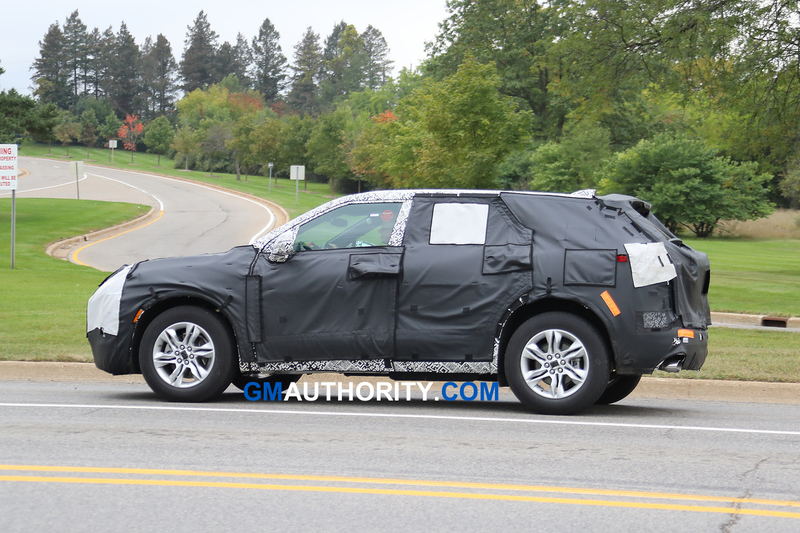 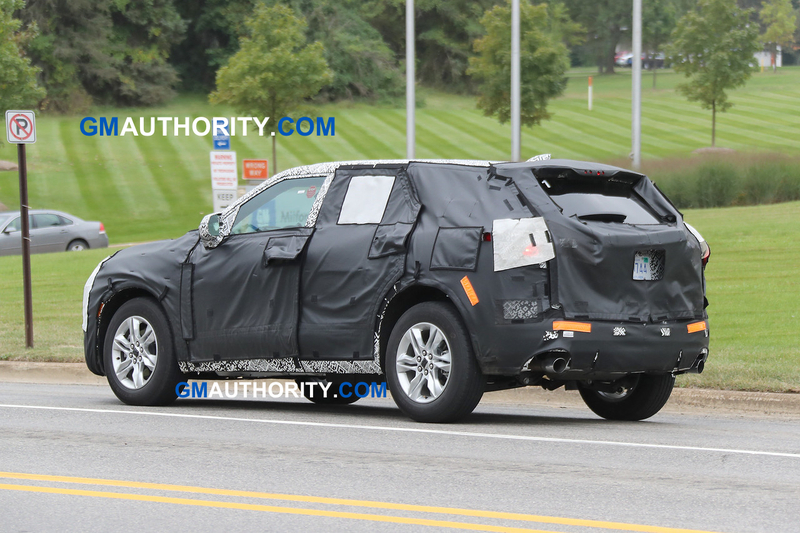 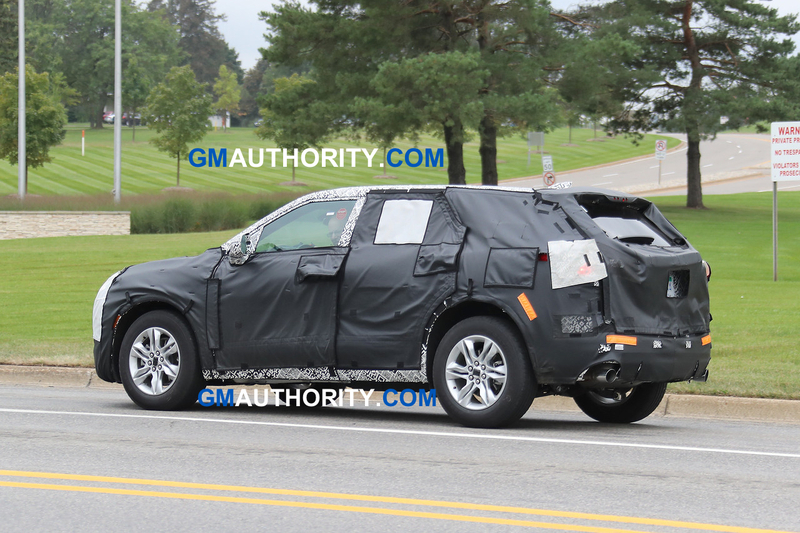 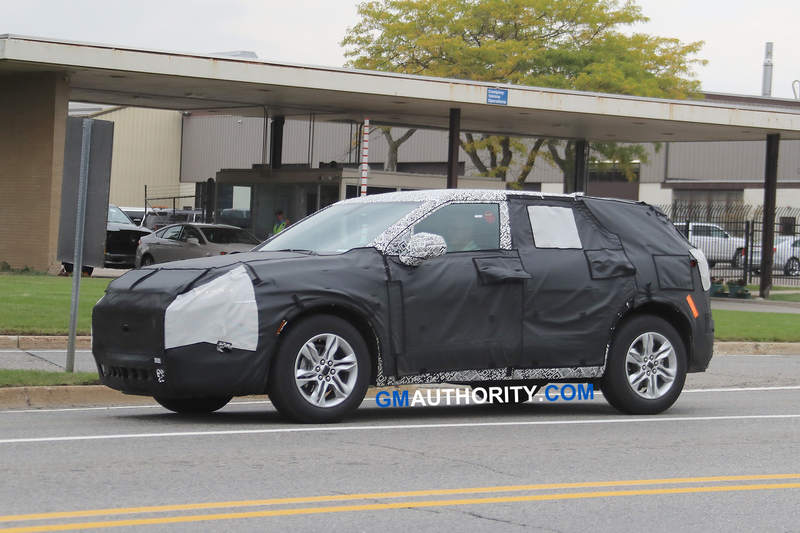 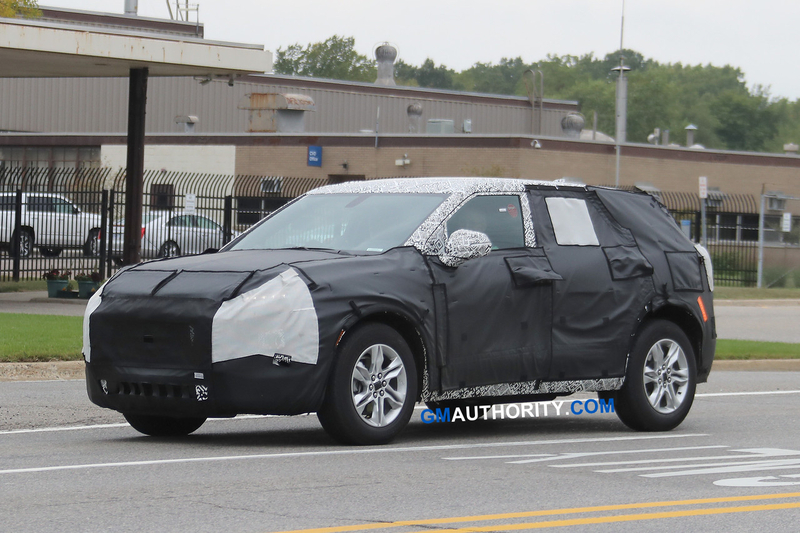 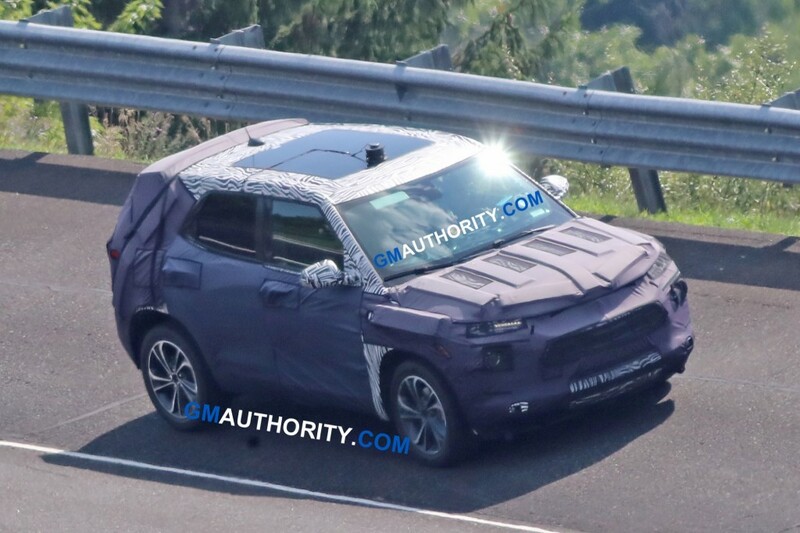 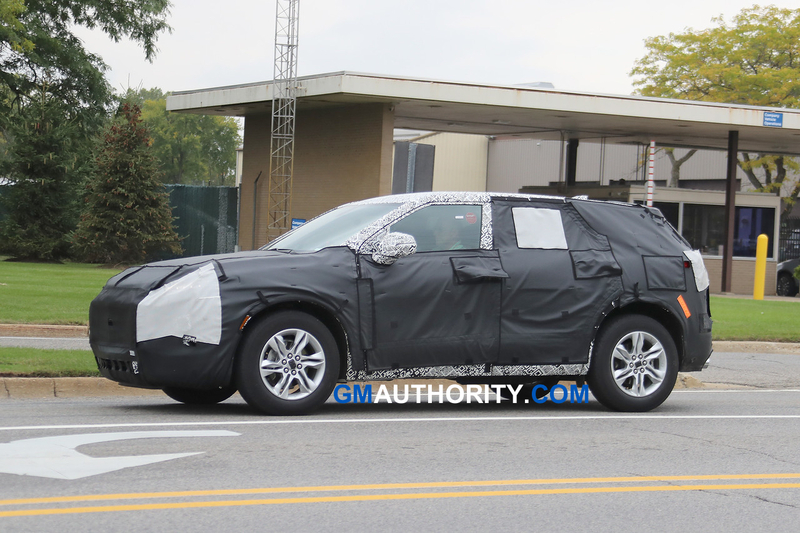 In fact, recent spy shots have confirm that the design of the upcoming 2020 Chevrolet Trax will be heavily inspired by the 2019 Blazer. 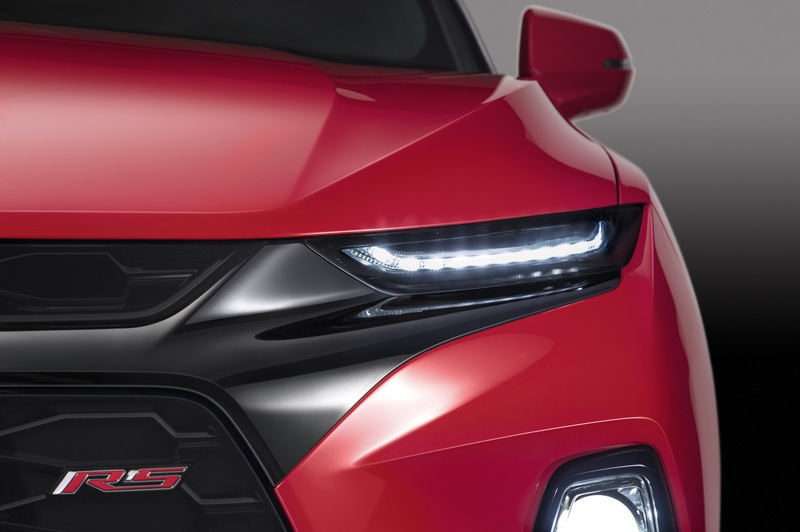 Its prominent grille is evident through the camouflage, as are the sleek daytime running lights followed by a primary lighting element below. 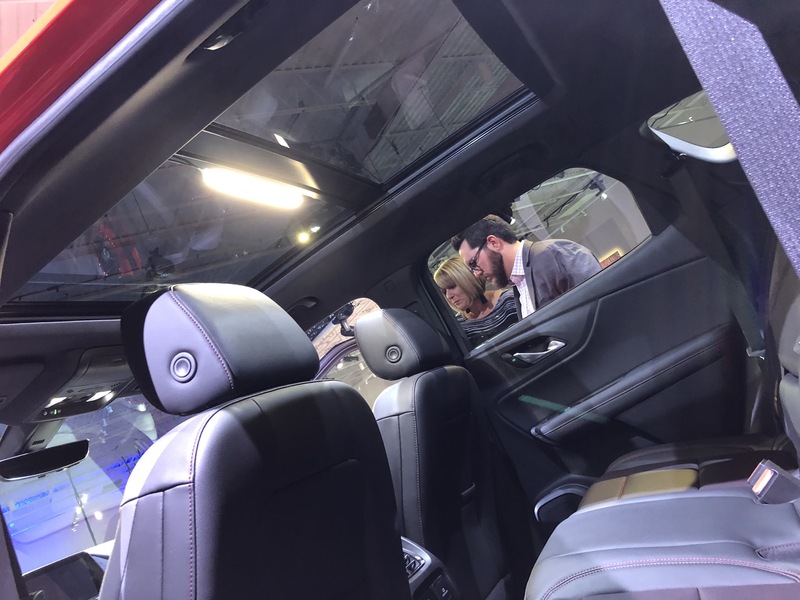 You can also spot the large panoramic sunroof that dominates most of the crossover’s roof, naturally complementing the prominent C-pillar. 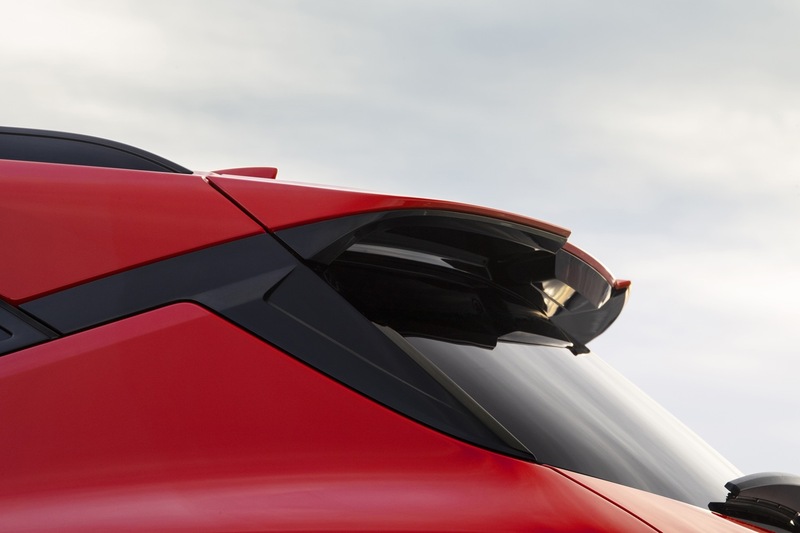 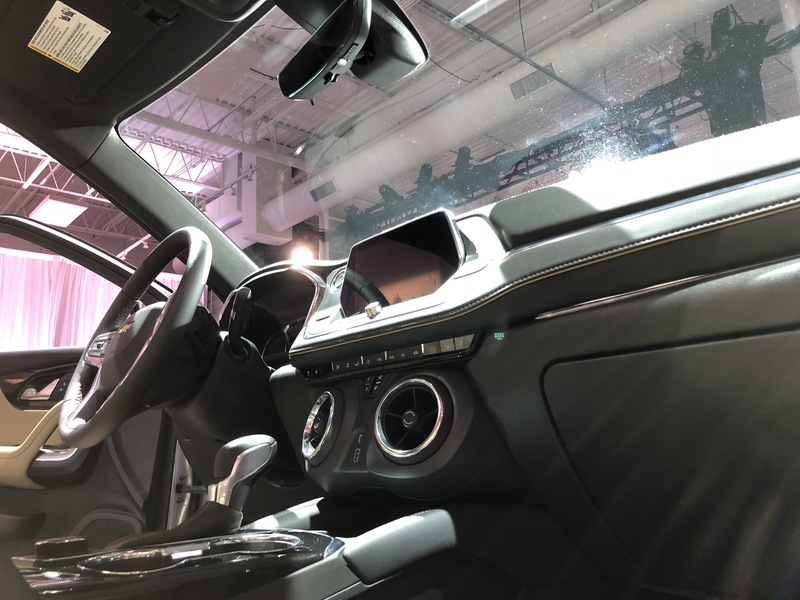 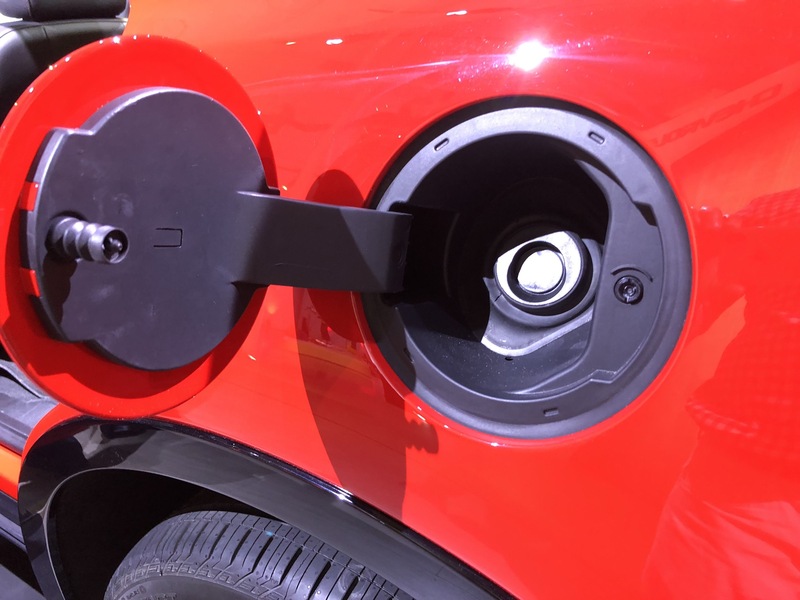 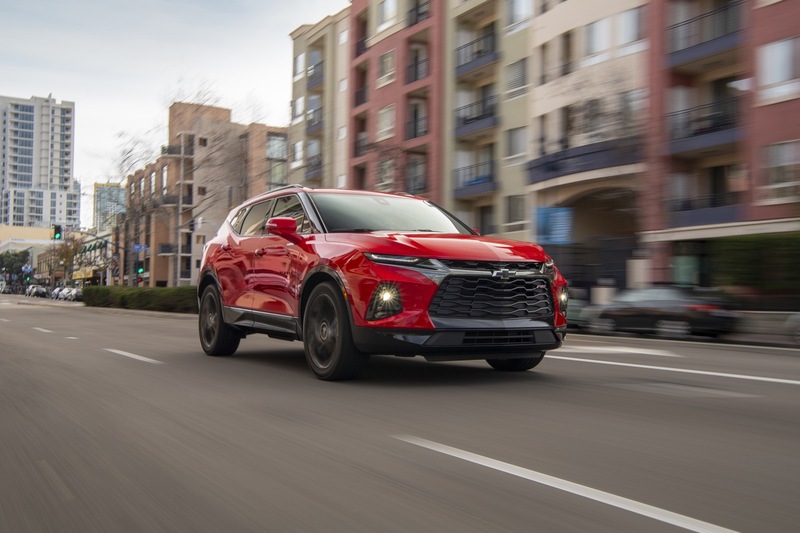 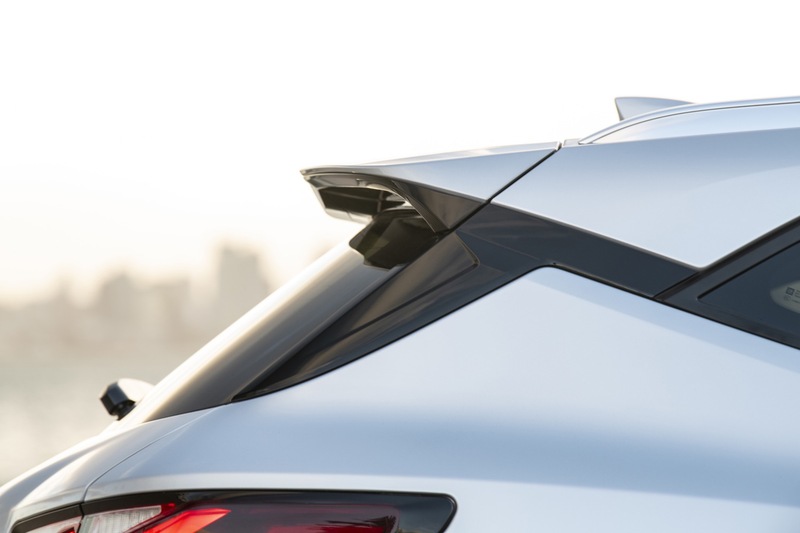 Another notable similarity between the 2020 Trax prototype and the 2019 Blazer are the sharp, sculpted treatments of particular areas – such as the overall roofline, the junction between the roofline and A-pillar, as well as the entire A-pillar. 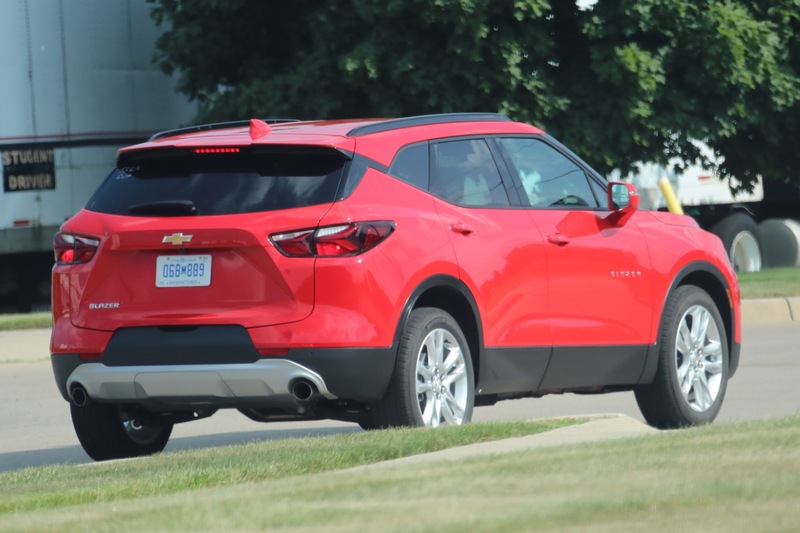 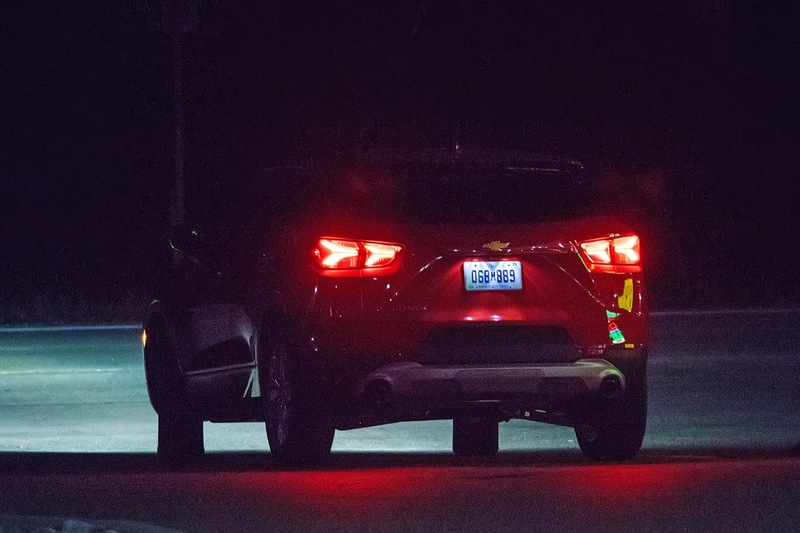 The rear end of the 2020 Trax remains well-hidden, though we can spot the positioning of the taillights, the integrated exhaust tips, and position of the license plate cutout. 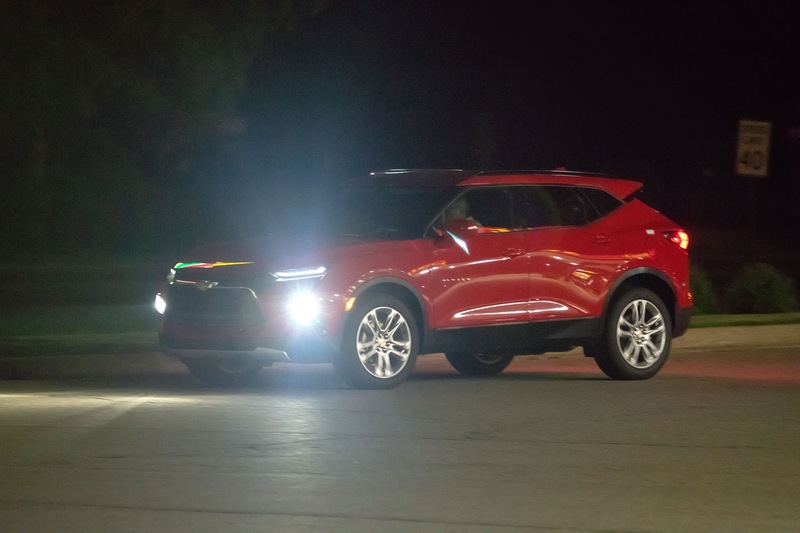 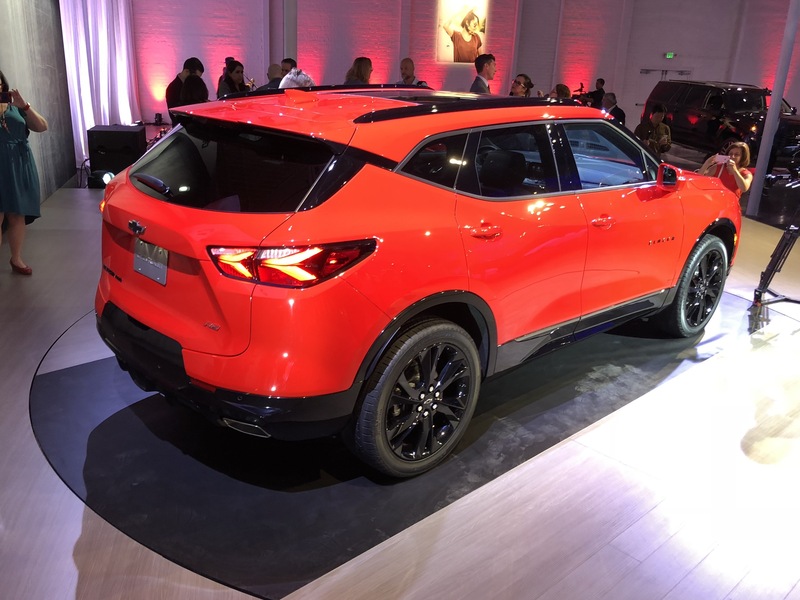 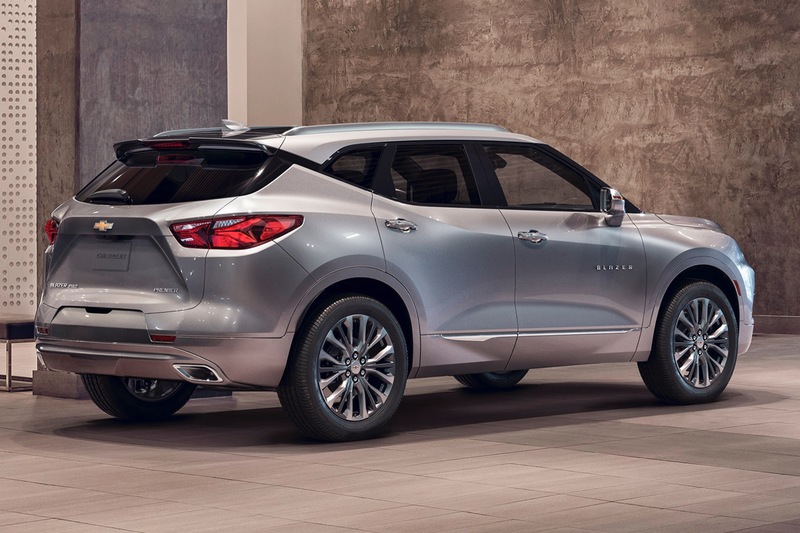 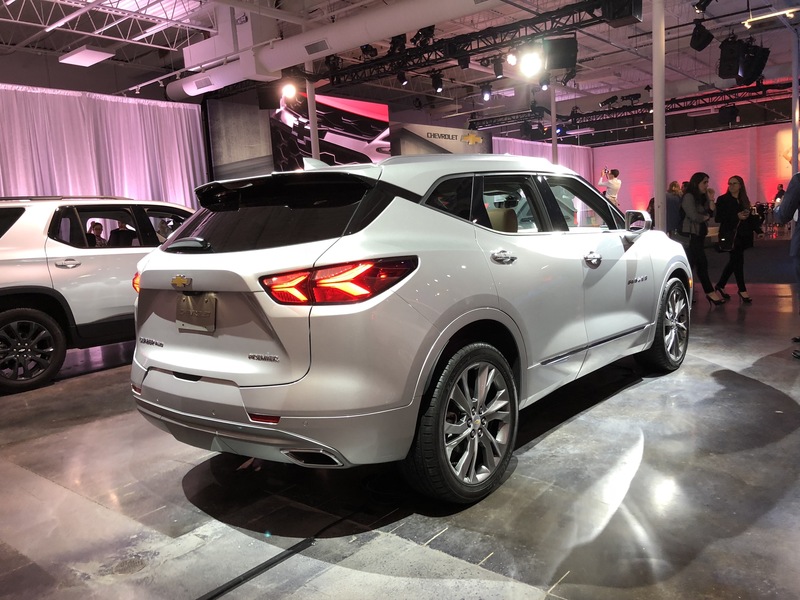 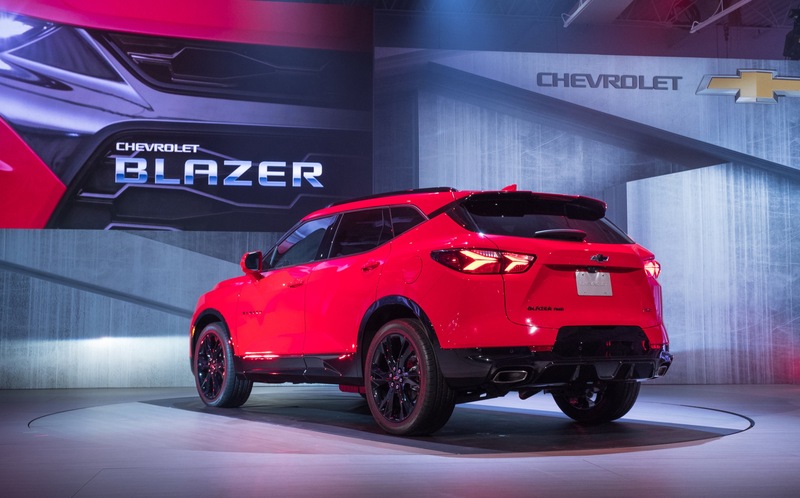 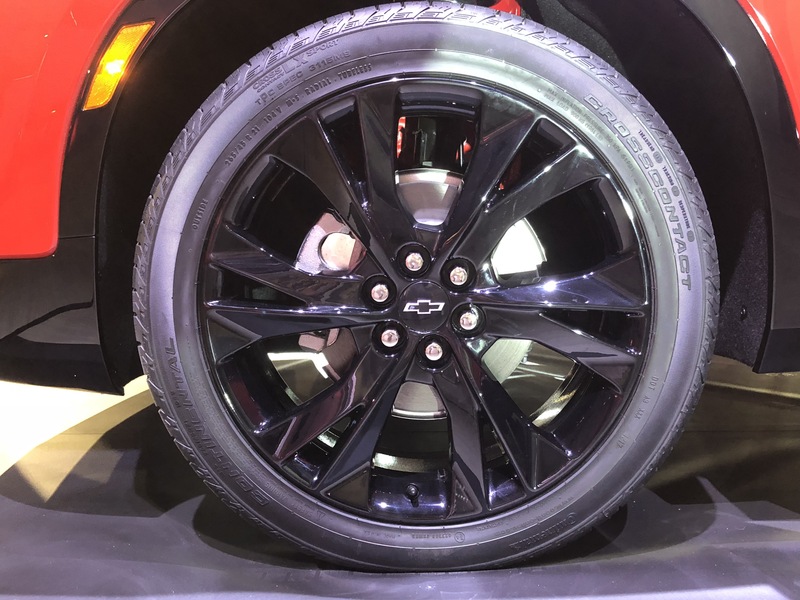 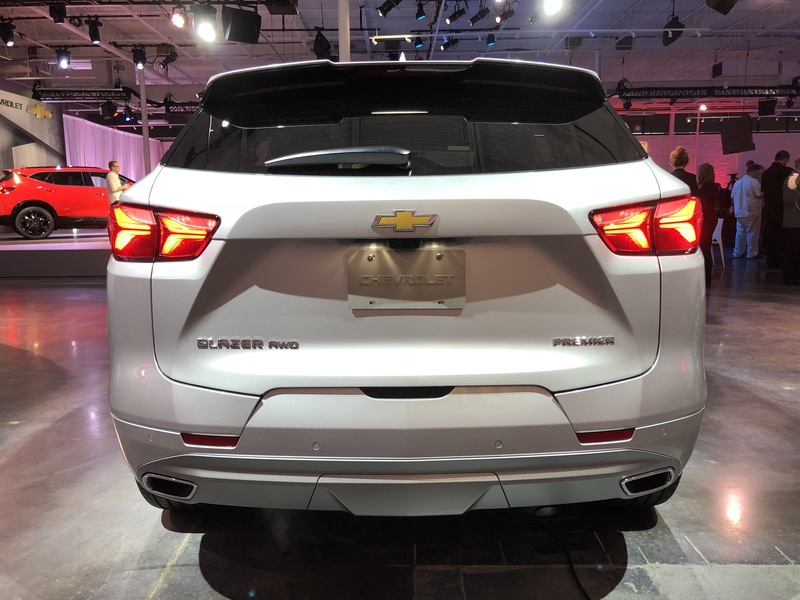 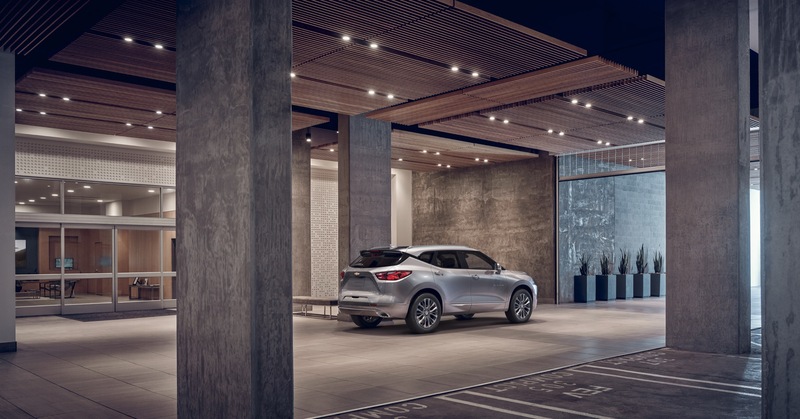 We should also note that Chevrolet’s press release on the 2019 Blazer called the crossover the “boldest, most progressive expression of the Chevrolet crossover design theme.” Its wide stance, rigid proportions, and dramatic body lines add a sporty appearance that can be seen from all angles. 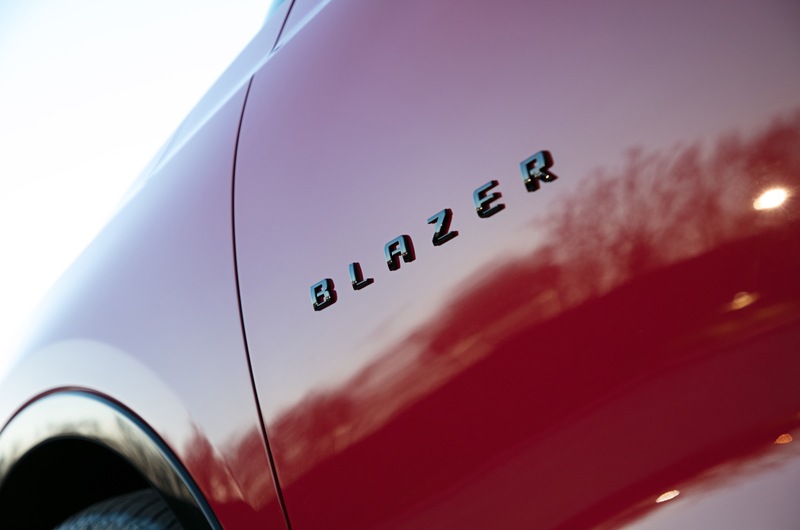 “The Blazer has attitude. 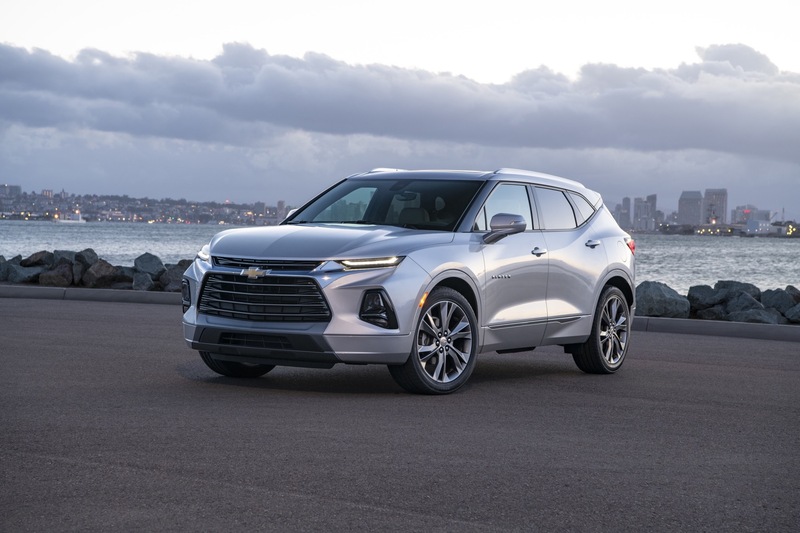 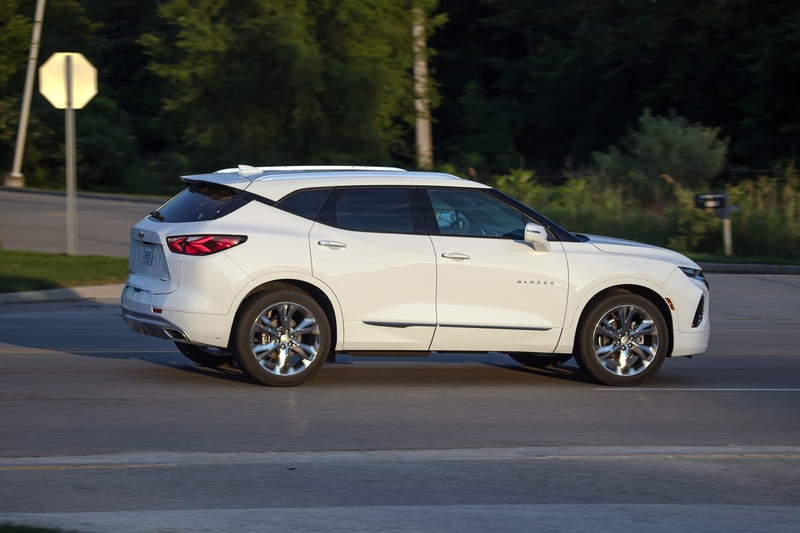 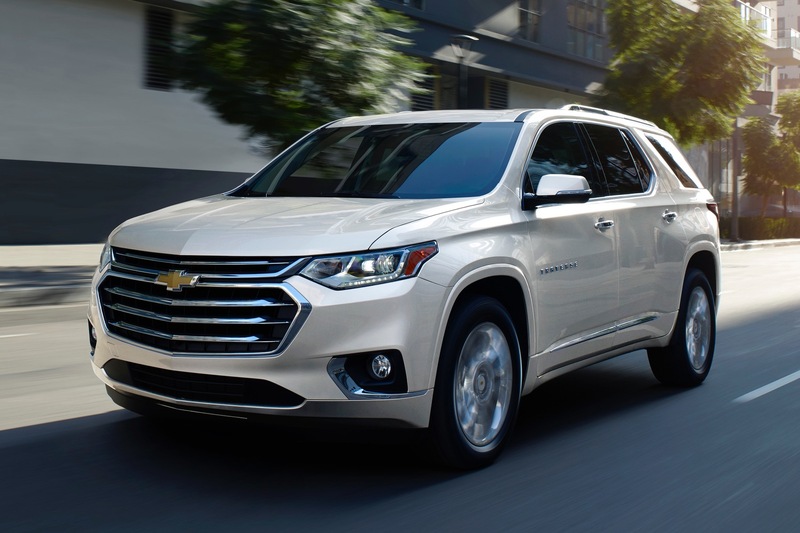 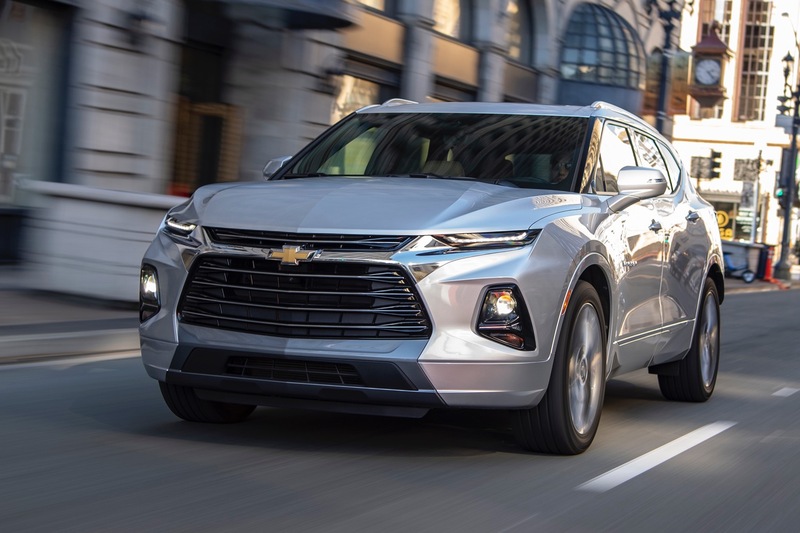 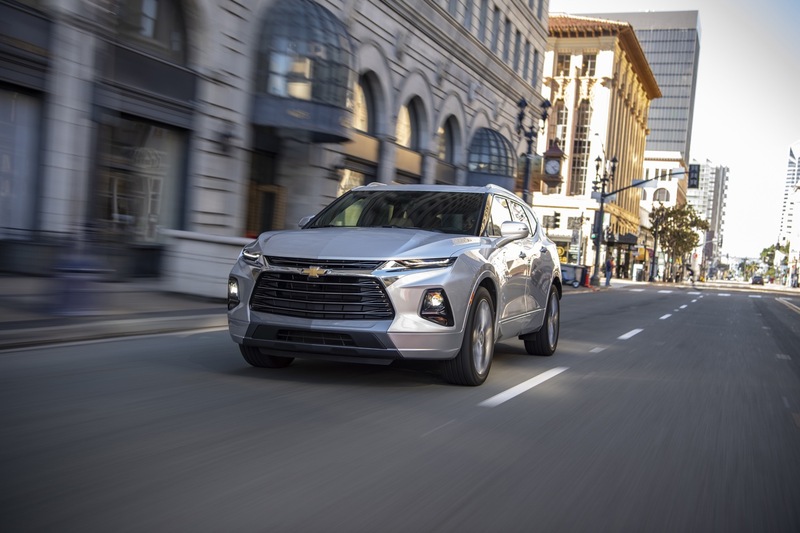 It looks commanding on the road, while fulfilling the promise of versatility at the heart of every Chevy crossover and SUV”, added John Cafaro, executive director of Global Chevrolet Design. 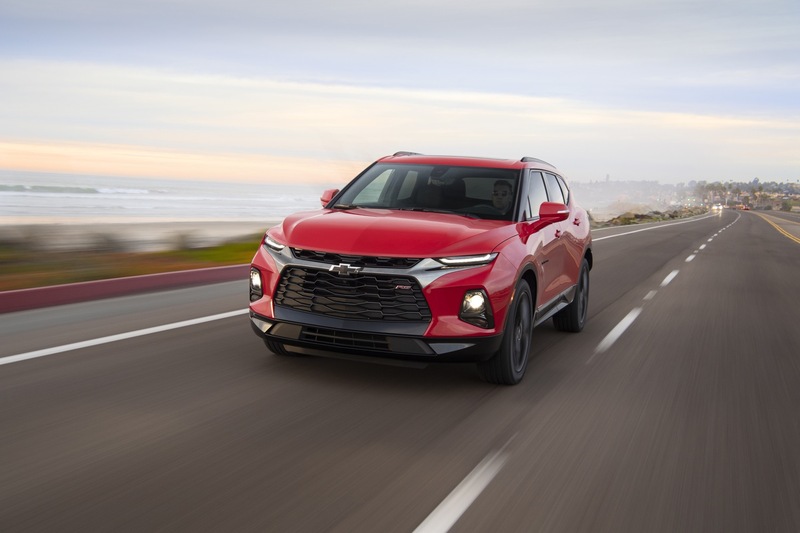 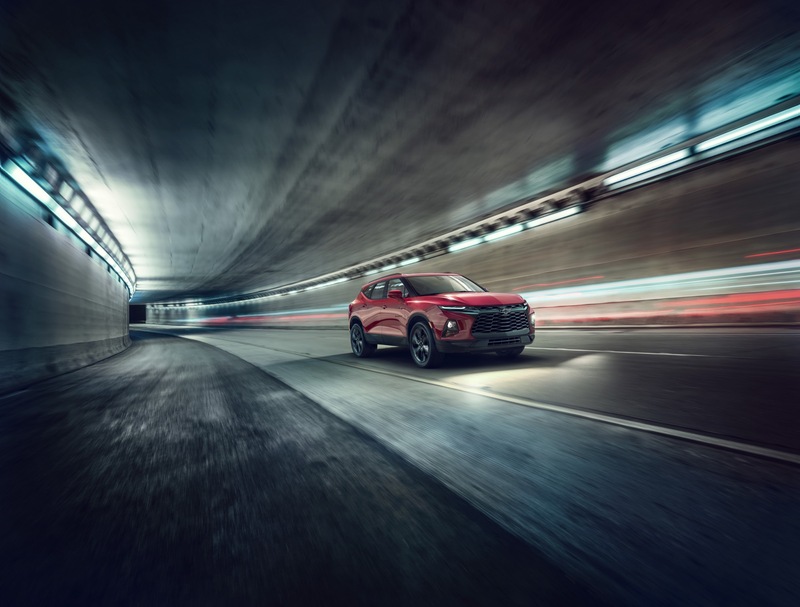 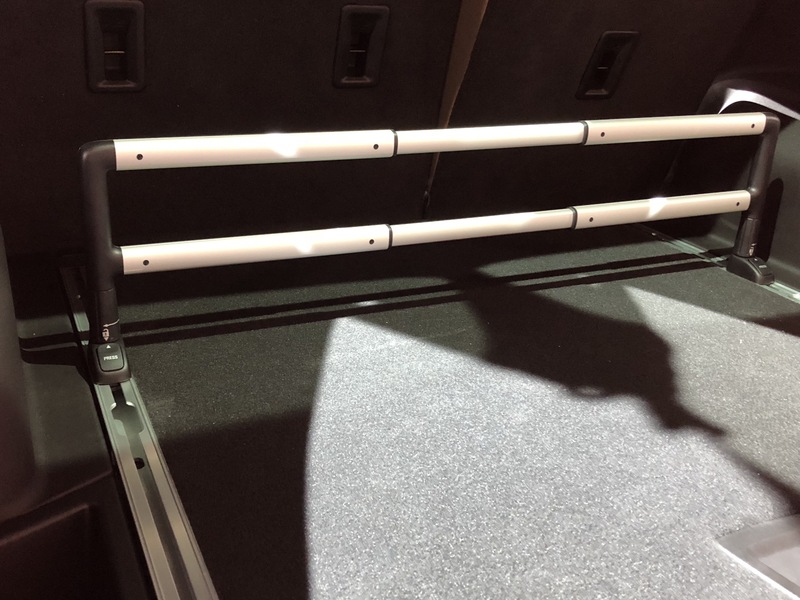 The midsize 2019 Blazer is positioned between the compact Equinox and full-size Traverse. 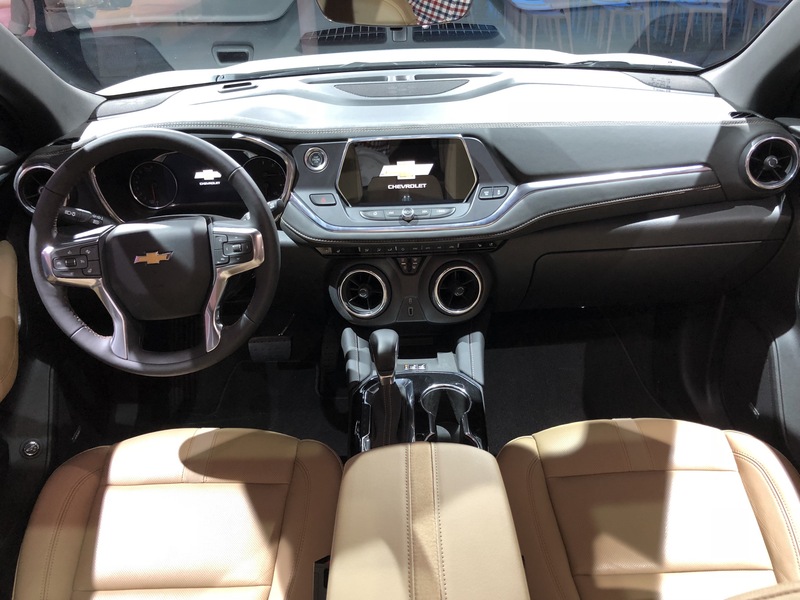 It offers unique design elements on on each trim level that cater to customers looking for both utility and style. 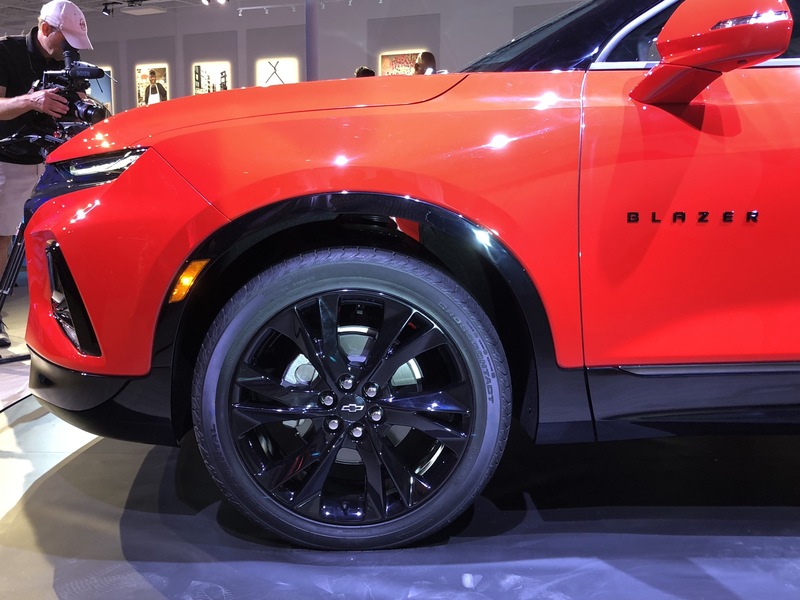 The Premier trim offers additional bright chrome accents, while the Blazer RS has a more aggressive, blacked-out appearance. 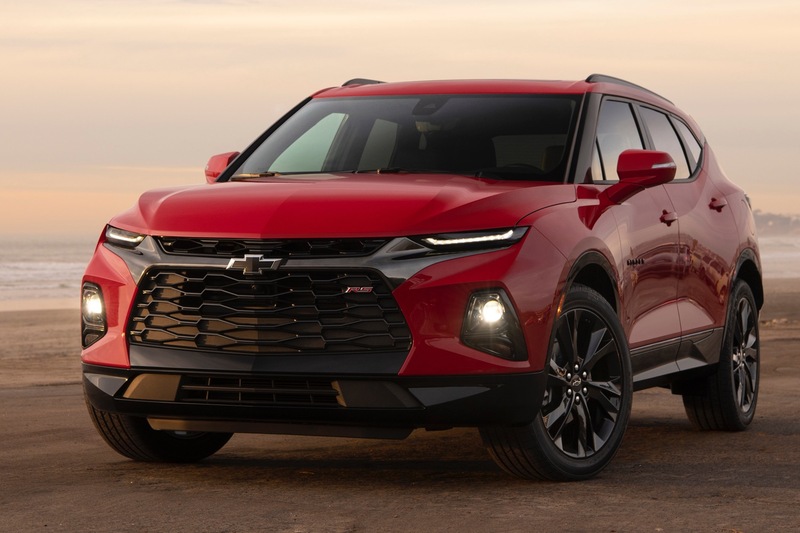 Imagine if GM CEO Mary Barra hadn’t cancel the Chevrolet Cruze and a 2020 refresh would see a Cruze with a nose that borrows heavily from the 2019 Chevy Blazer as well. 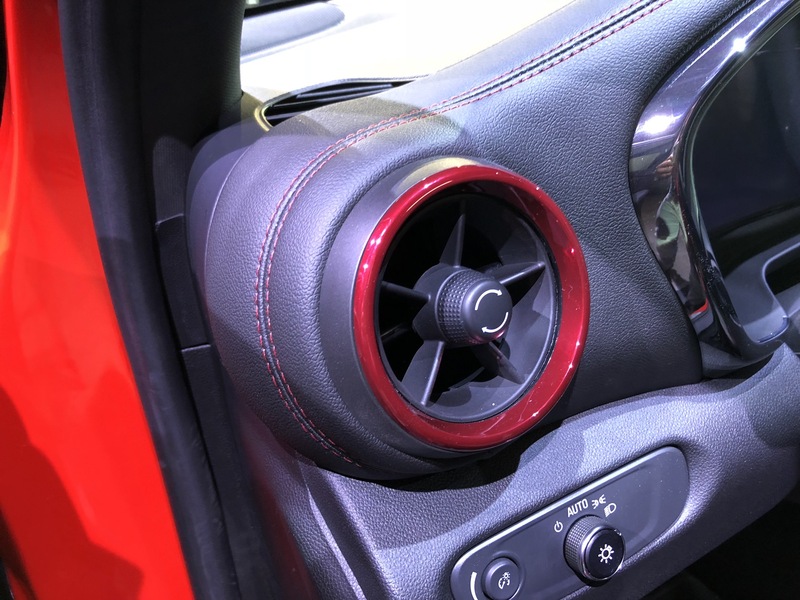 Yeah this looks nice. 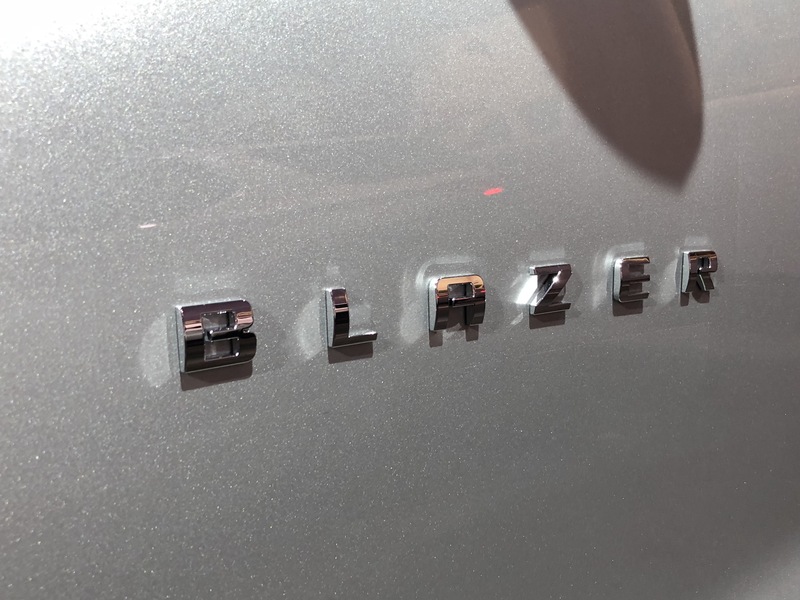 It’s not a Blazer though. 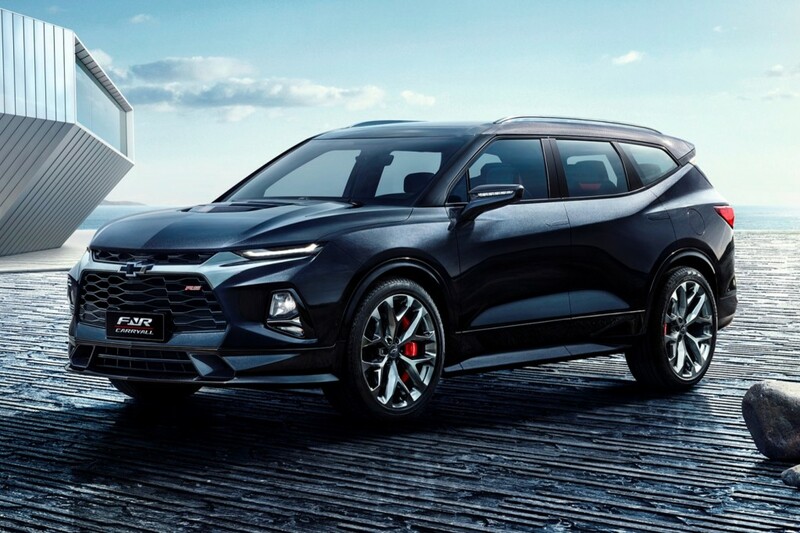 Do you also think the coming C8 is not a Corvette? 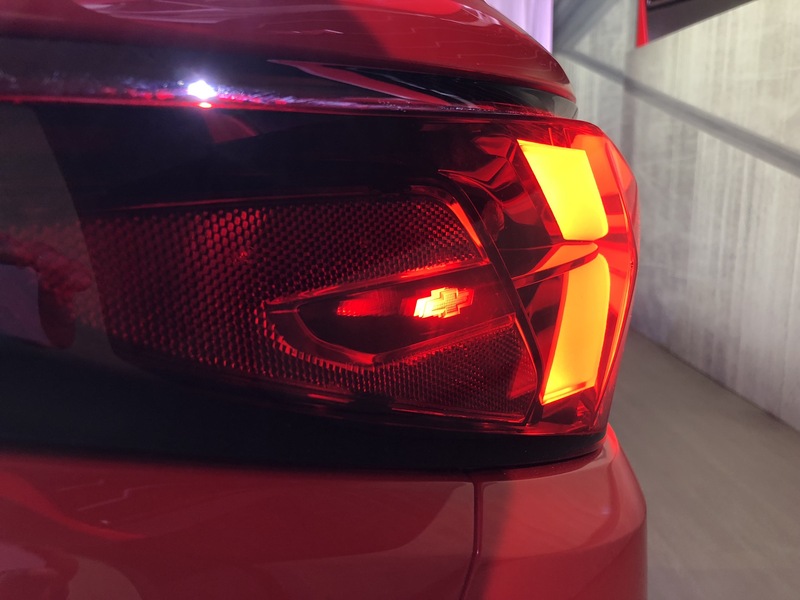 One good thing with design is the headlights are lower to cause less glare to on coming traffic. 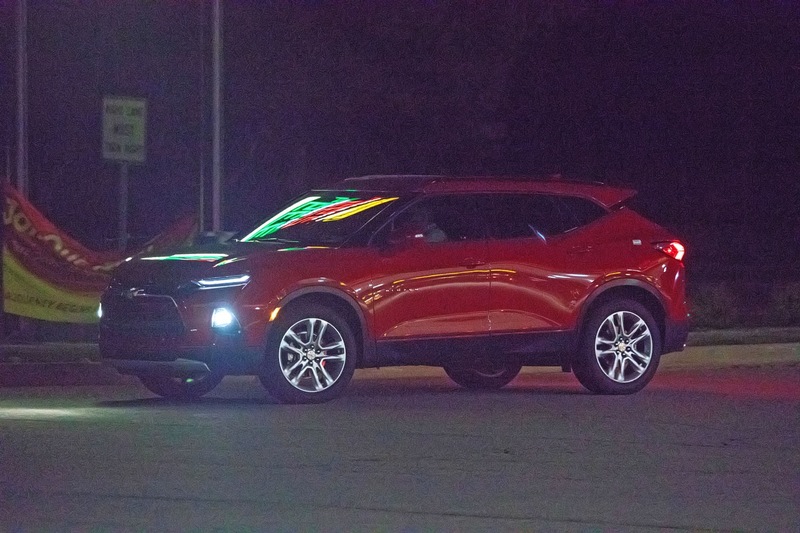 It looks better than what the Cherokee looked like. 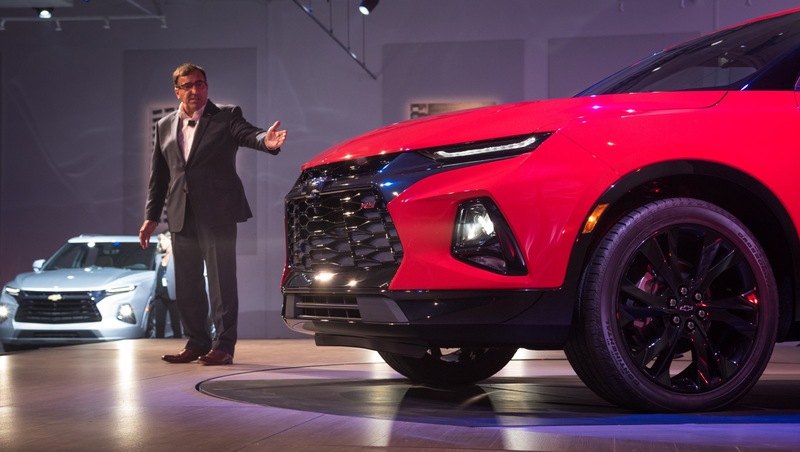 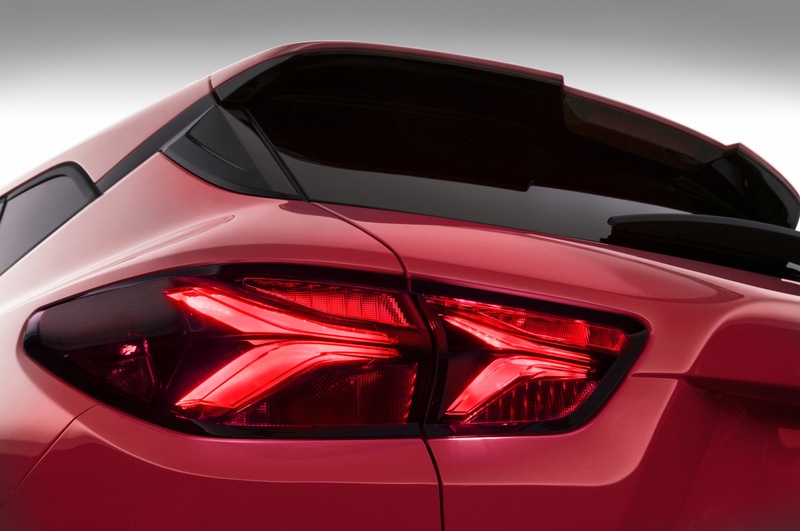 the only issue is Hyundai design is just like it so Chevy really needs to make there stand out more like maybe lights around grill a glowing bowtie also. 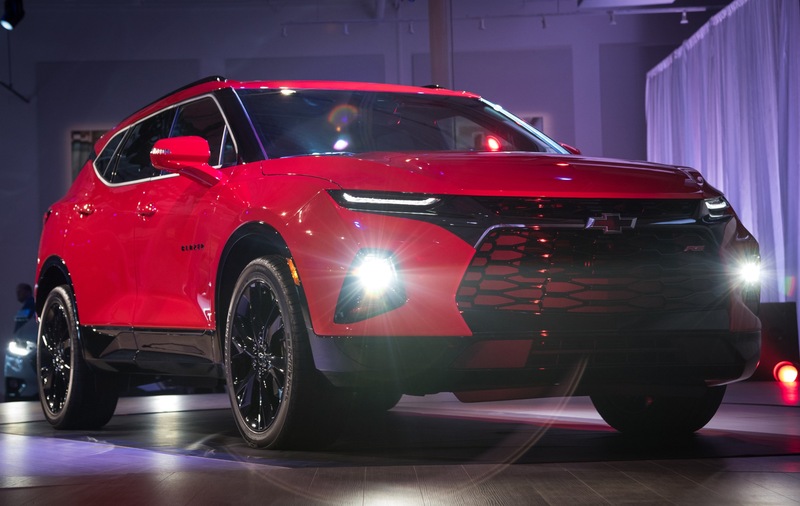 I mean how Cheap can GM be seriously. 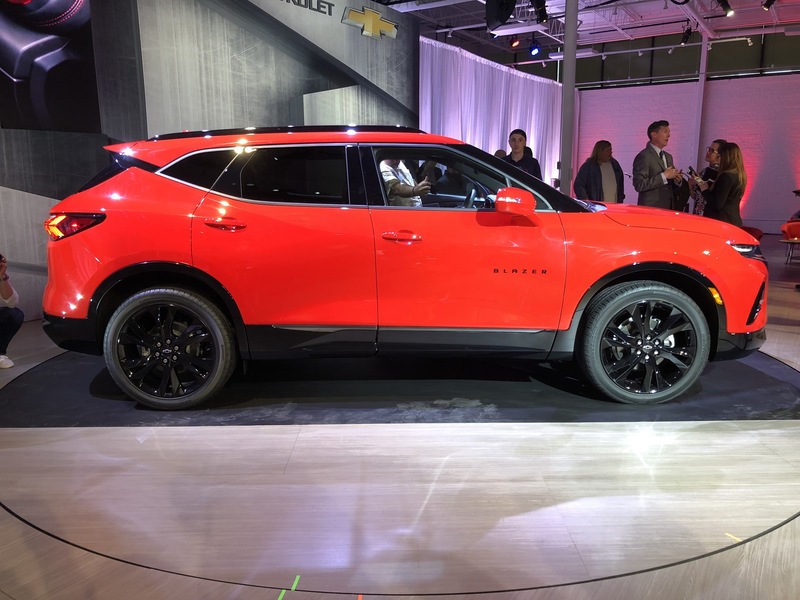 Of all the designs GM could replicate, they pick this UGLY Blazer…………DUH!!!!!!!!!!!!!! 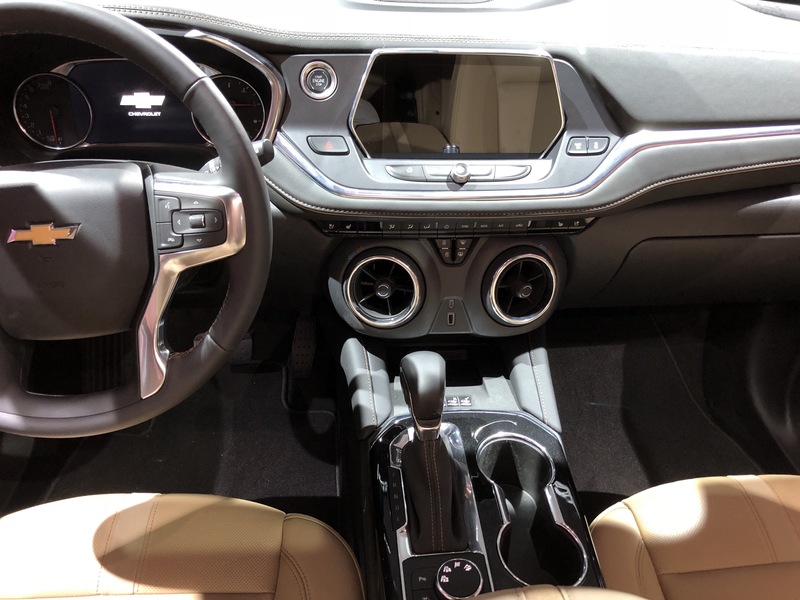 Nice looking now if they can get everything else right. 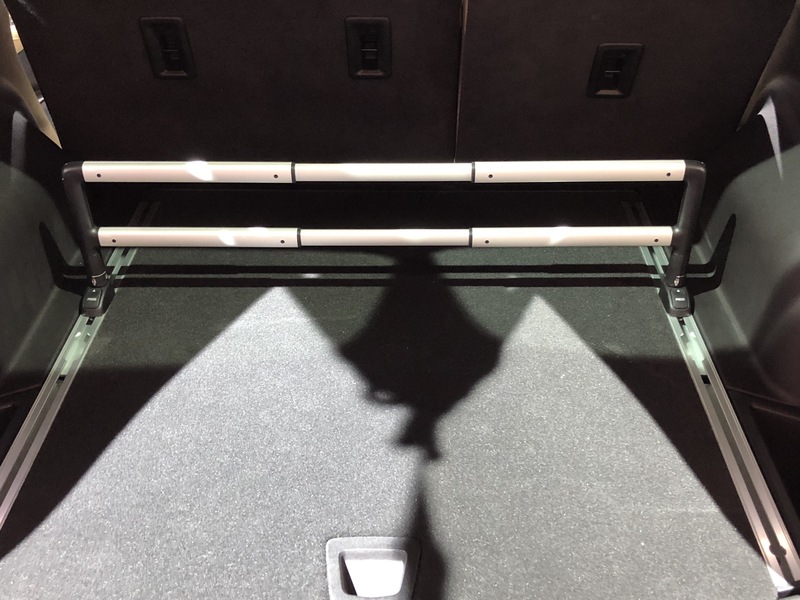 Quality,Performance,Value and the ability to purchase certain equipment without having to purchase the high end models or an expensive equipment package with things you don’t need or want. 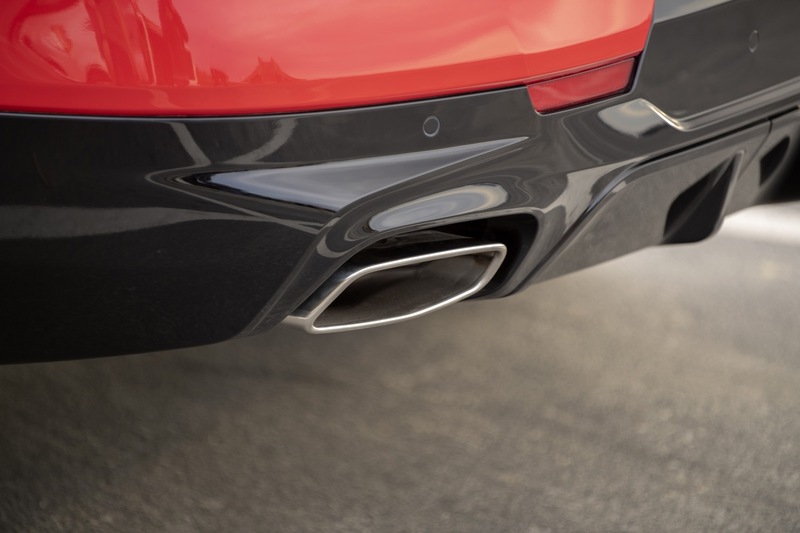 Add to that effective advertising campaign. 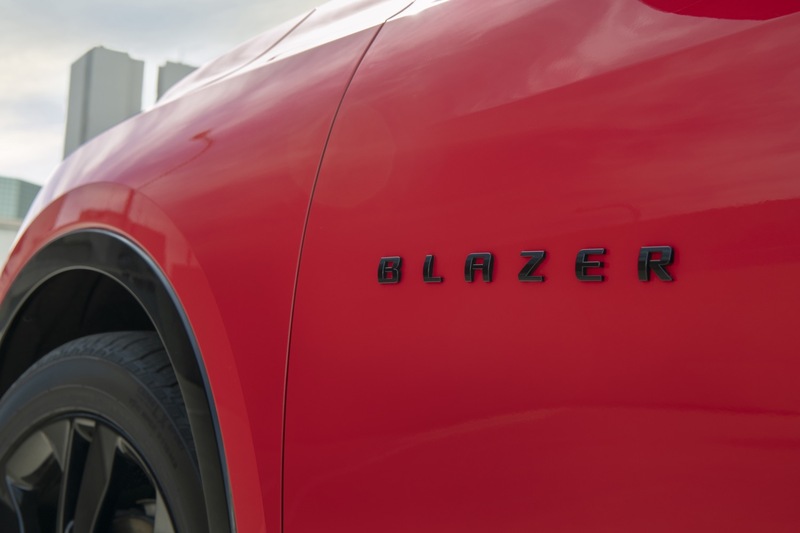 “The Blazer has attitude. 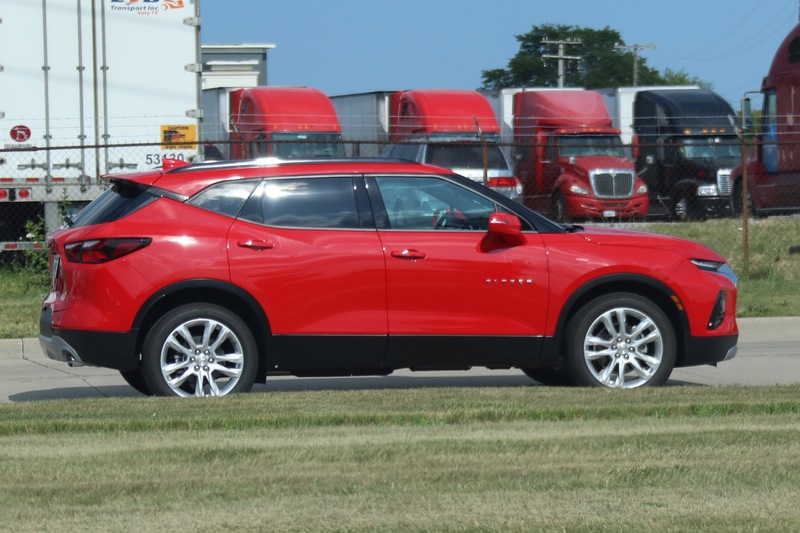 It looks commanding on the road….” ???? 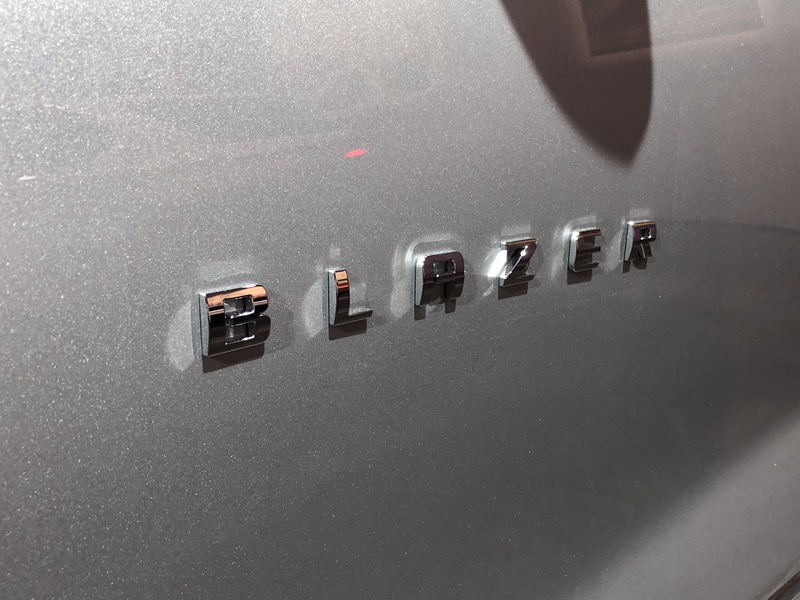 What really is a Blazer? 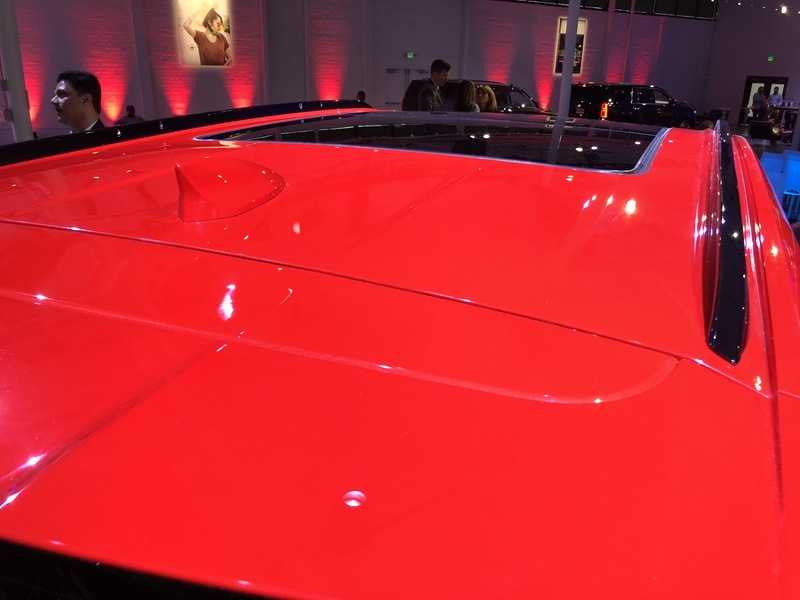 Is it the first gen with a fully removable leaky top? 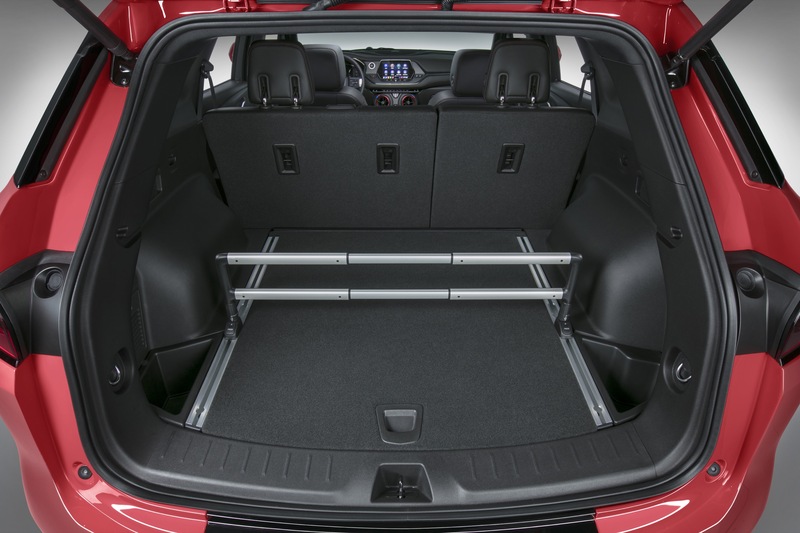 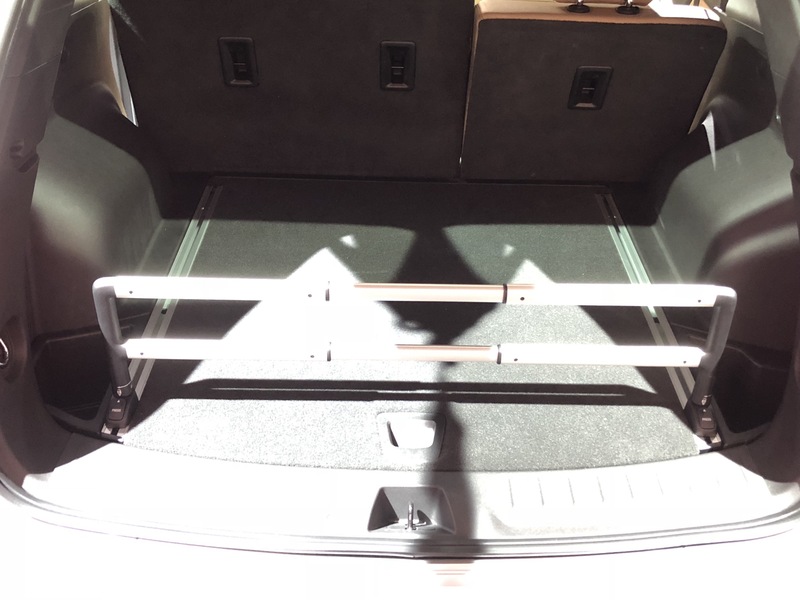 Is it the second gen that was difficult to get in or ort of the back seat that did not fold and left little cargo space. 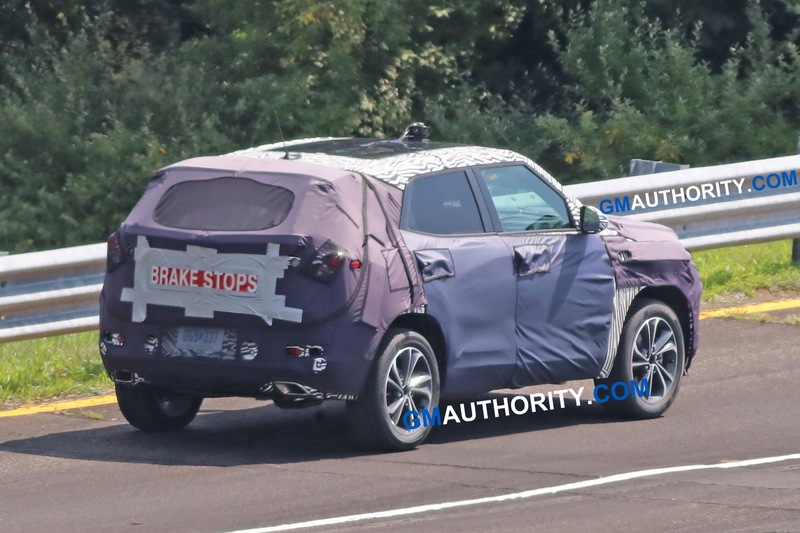 Better yet was it the S10 version that had to add a 4 door version due to declining sales of the two door? 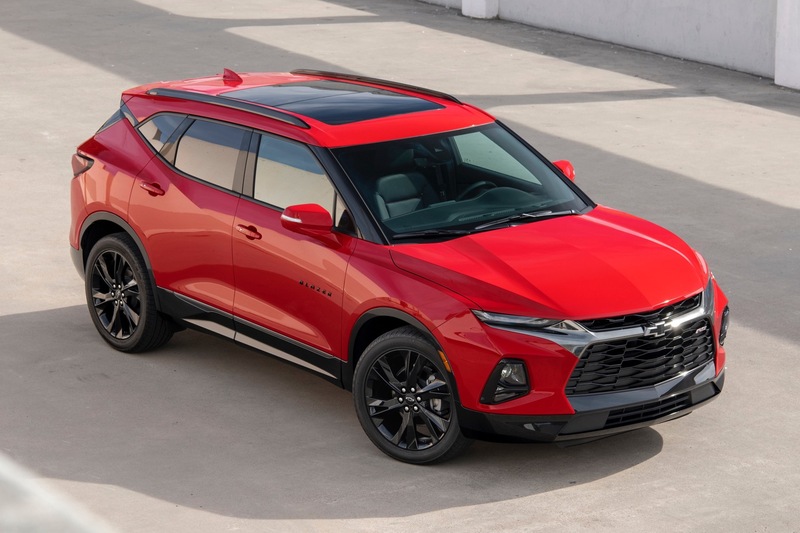 Facts and all I always was a fan of the Blazer but today there is no market for the original two door. 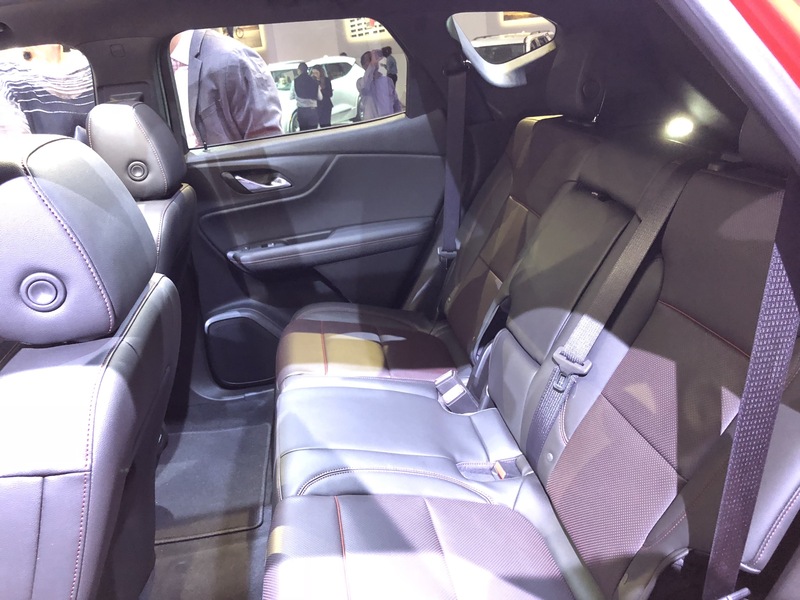 We already have a full size 4 door called a Tahoe. 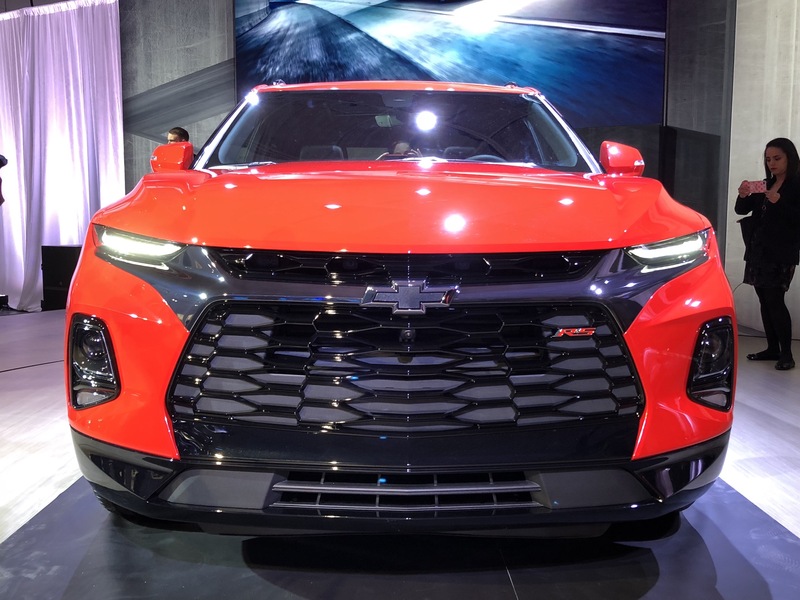 GM has. 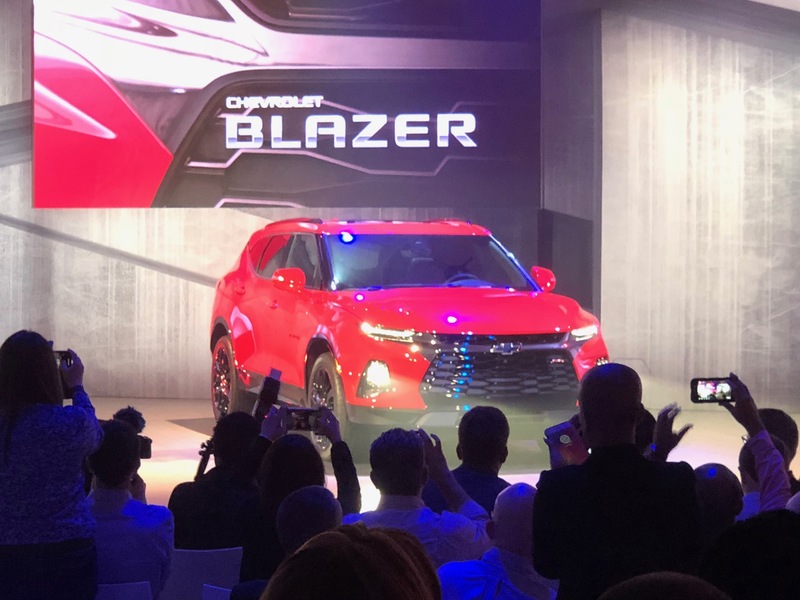 Trailblazer down under with 4 doors but the styling would never make it here so we could see it here if there are changed in a future gen. 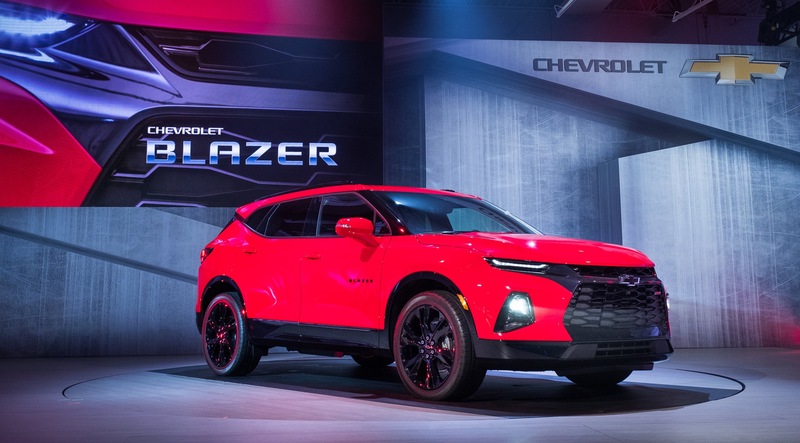 But even then the coming Blazer would out sell it by at least 2X the Volume. 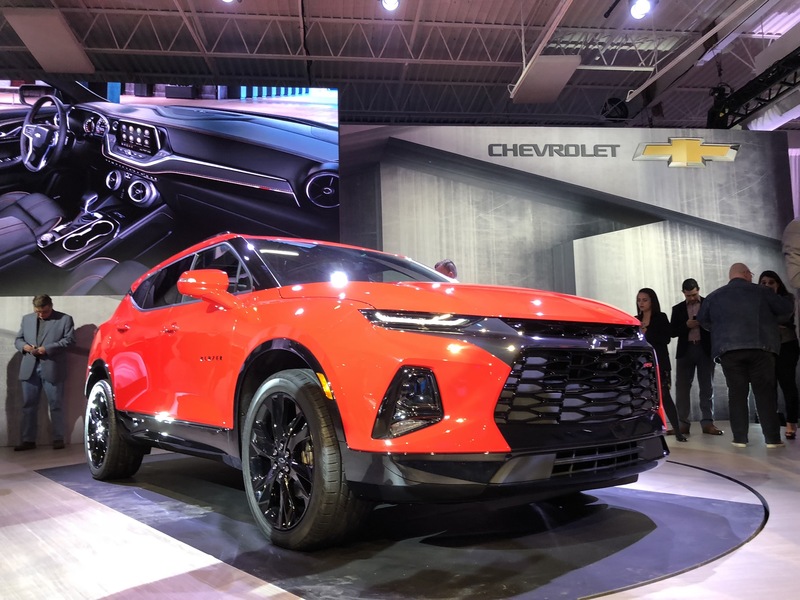 No matter how you spin it the present model is the one that will make the money in the present market. 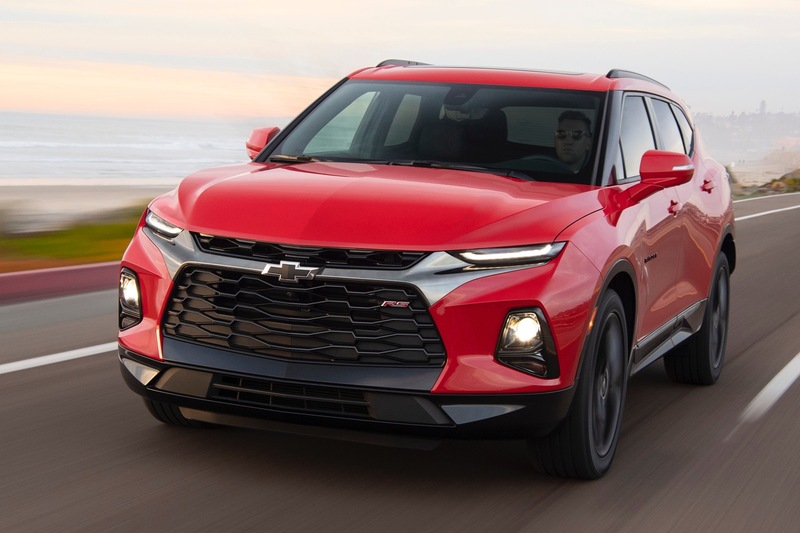 They still can make the Colorado based model work but it needs changes and expect 4 doors and a hatch. 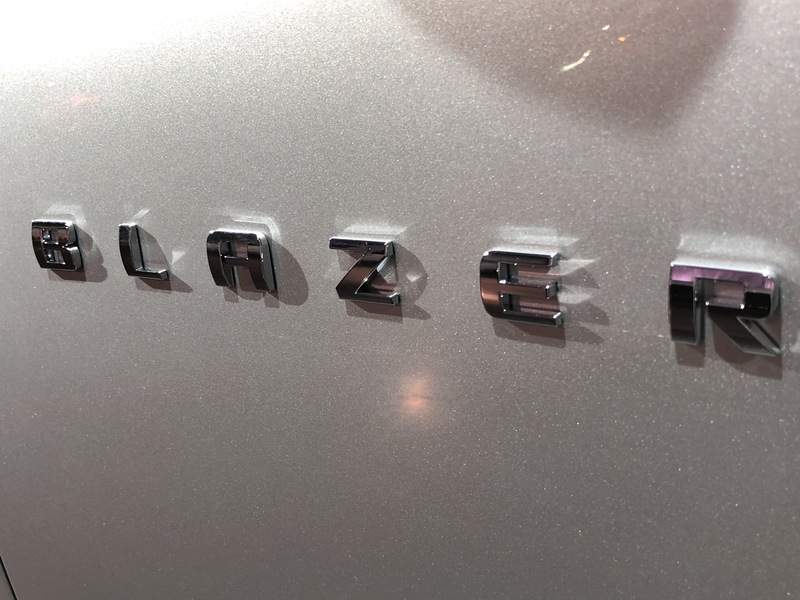 To be honest the Blazer name being used here is really a good sign that we stand a chance at the Colorado based Trailblazer since it already carries the name. 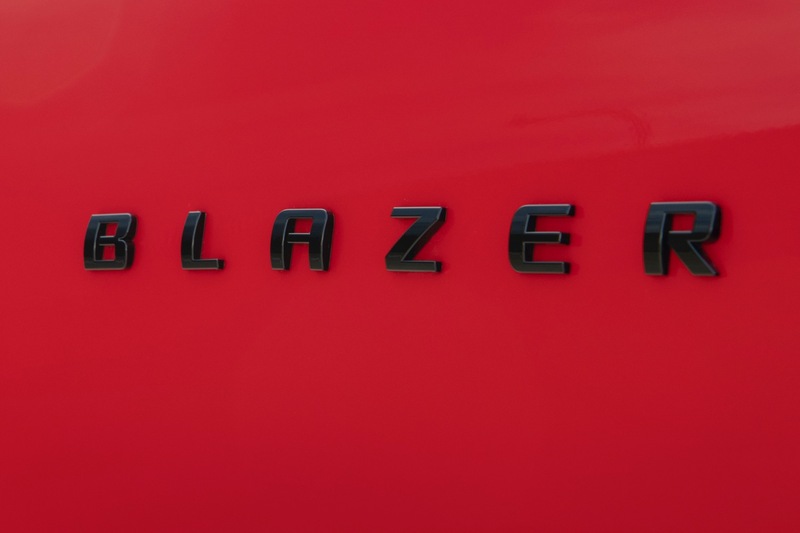 If they had named this Trail Blazer that would have sealed there would be no Colorado based model. 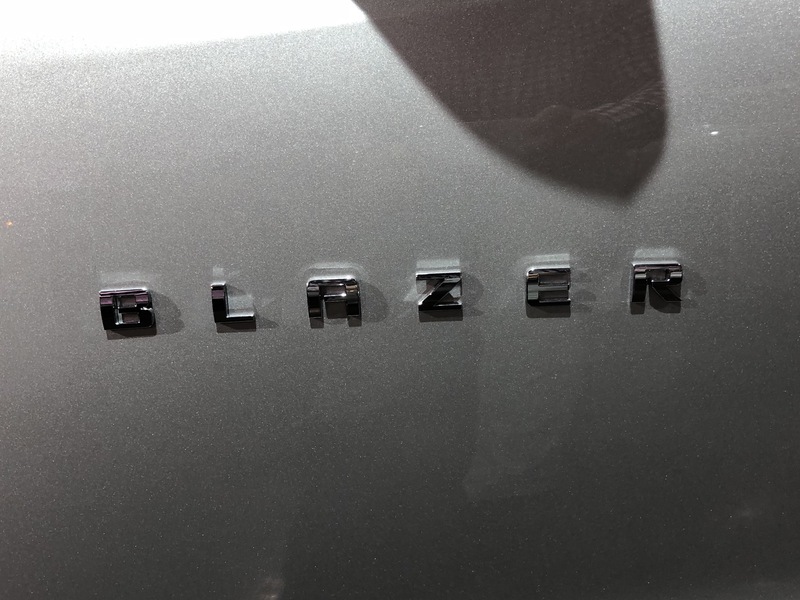 Judas Priest, I sure hope this Blazer doesn’t inspire future Chevy vehicles or crossovers. 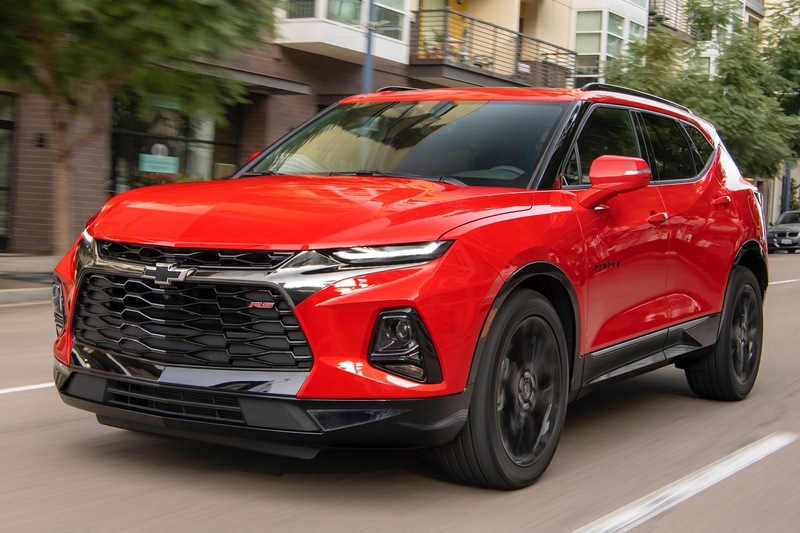 I wonder if it also inspires more Chevrolets to be built in friggin’ Mexico?